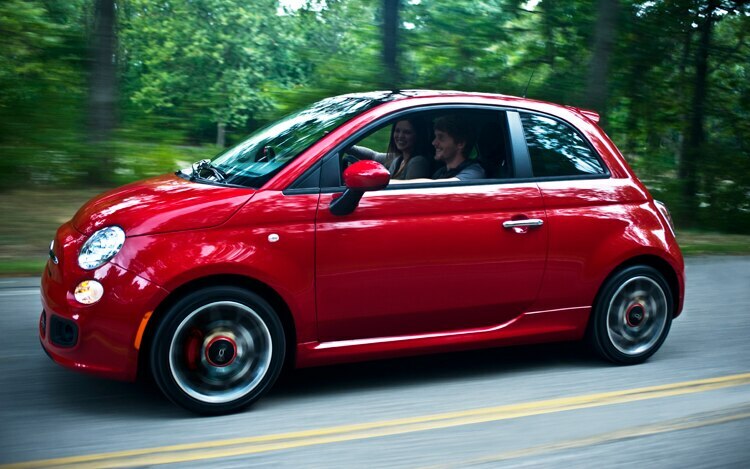 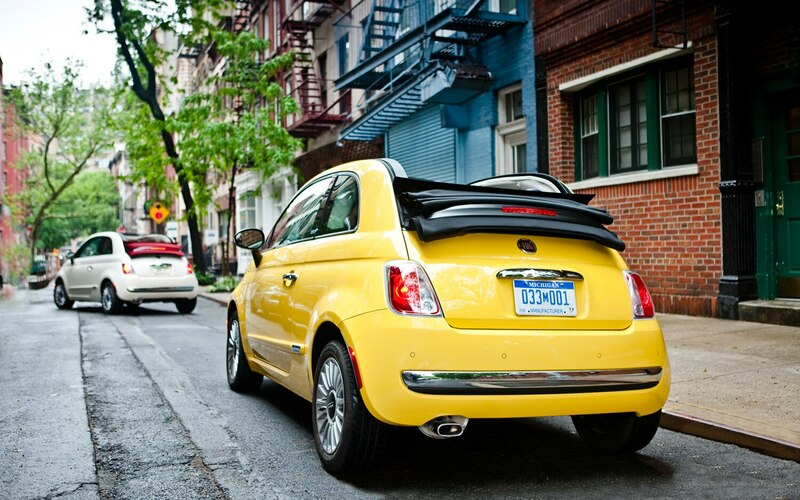 All Fiat 500s should be cabriolets. 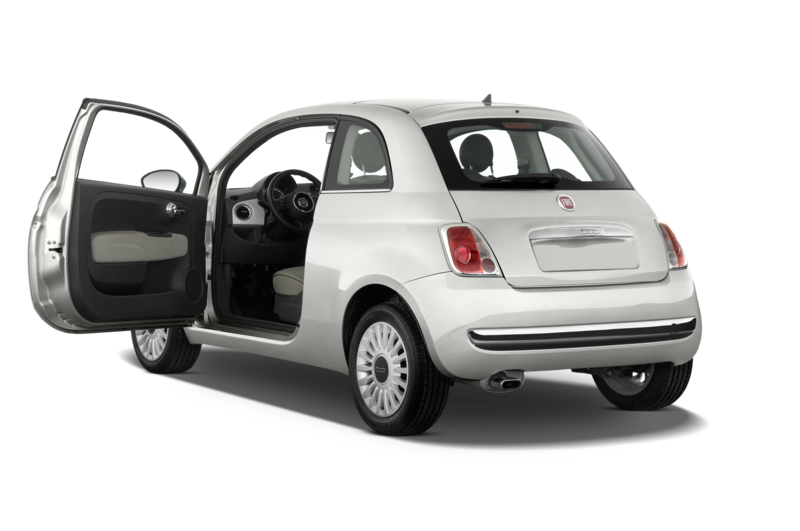 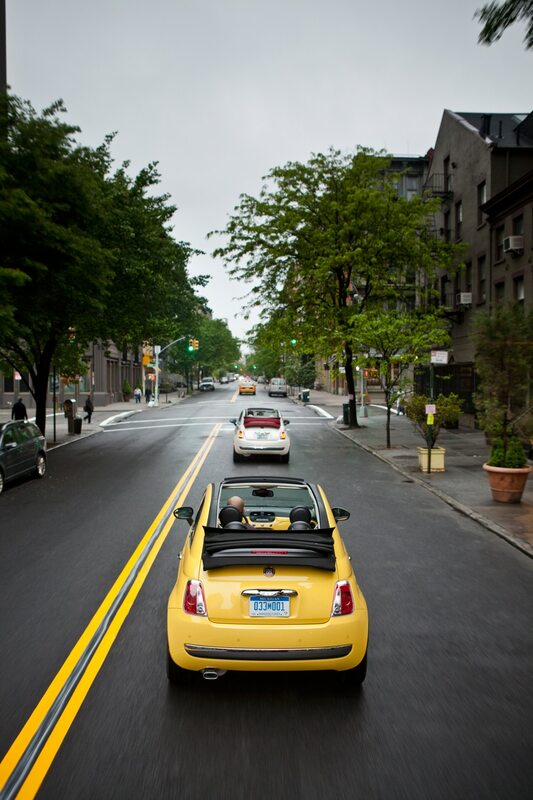 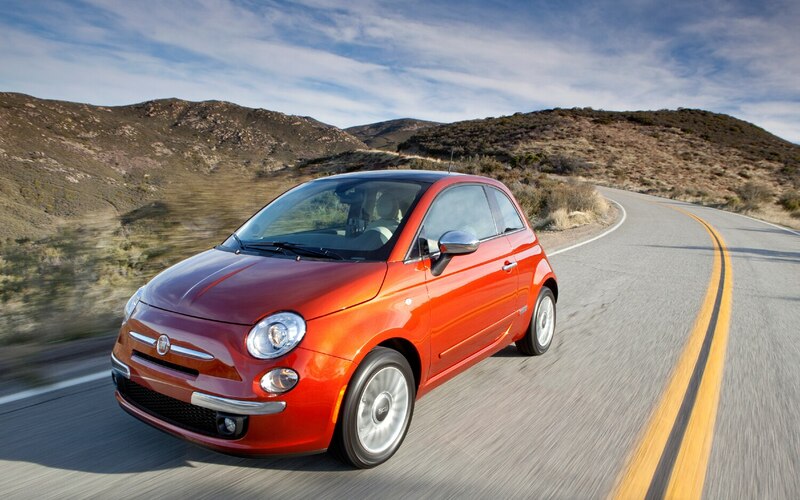 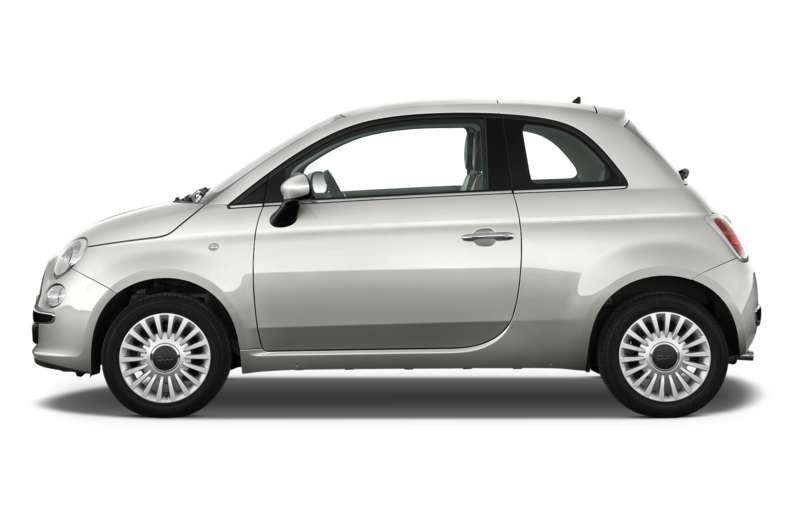 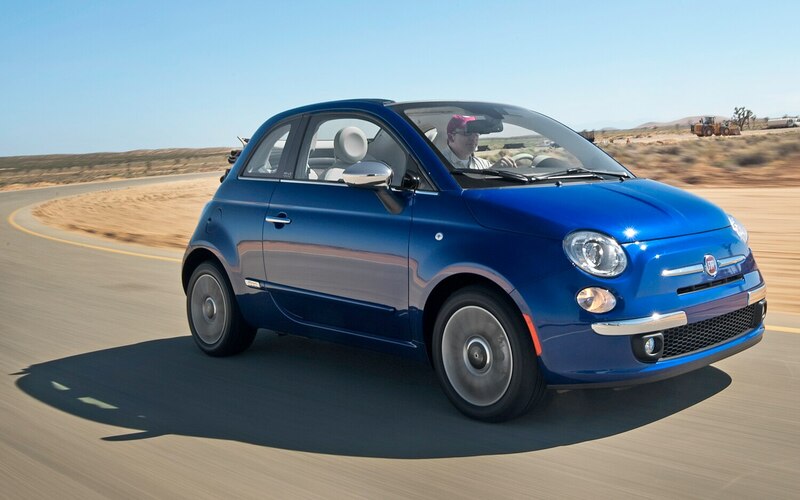 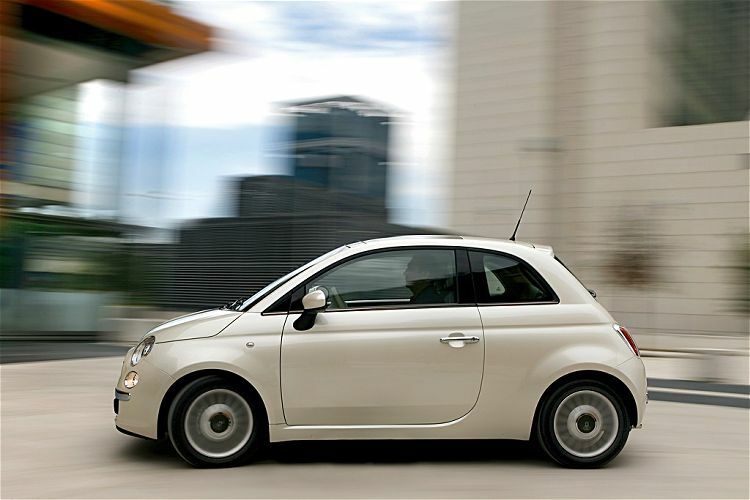 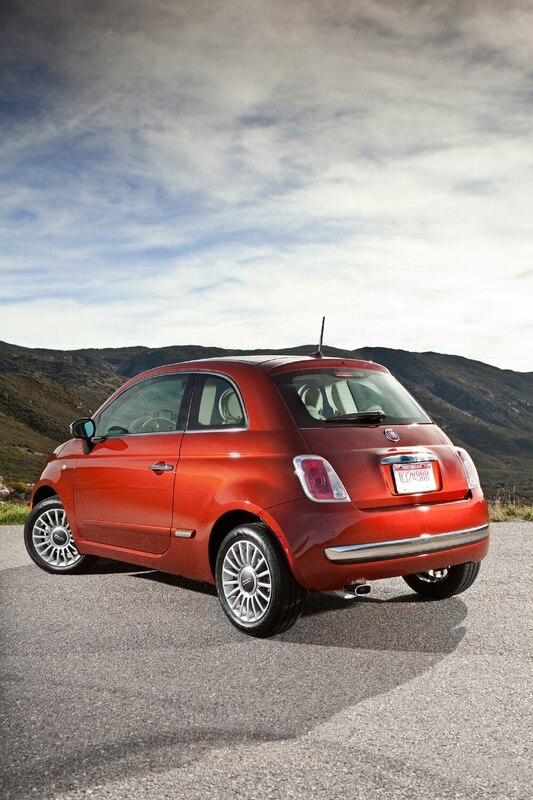 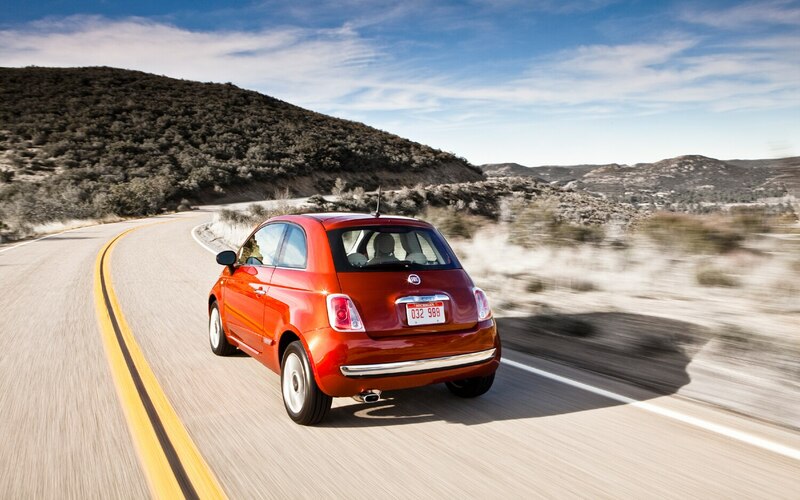 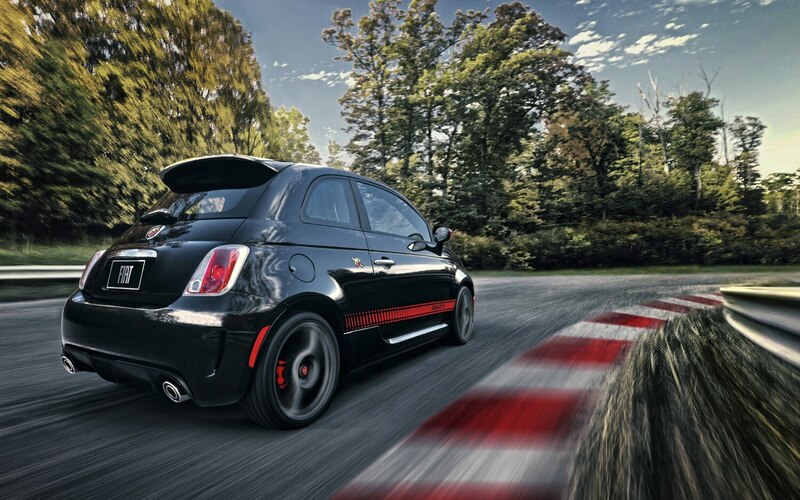 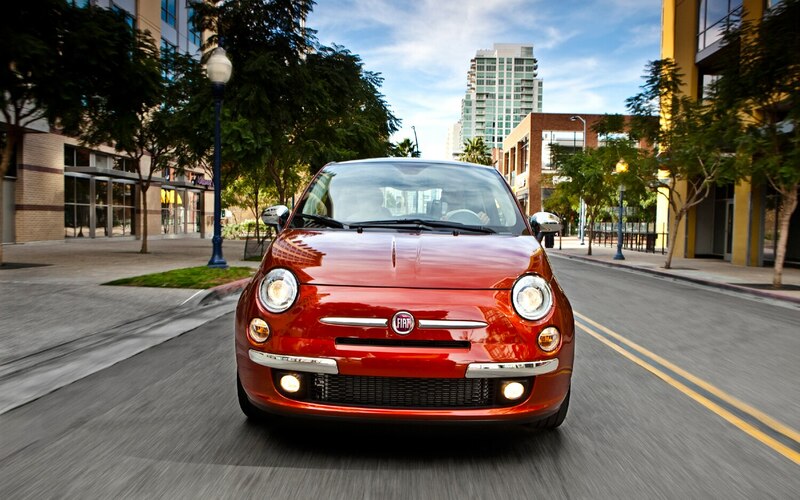 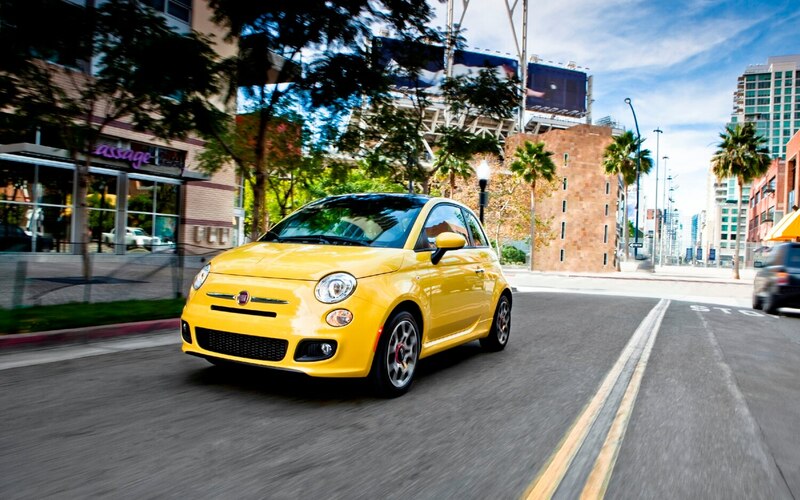 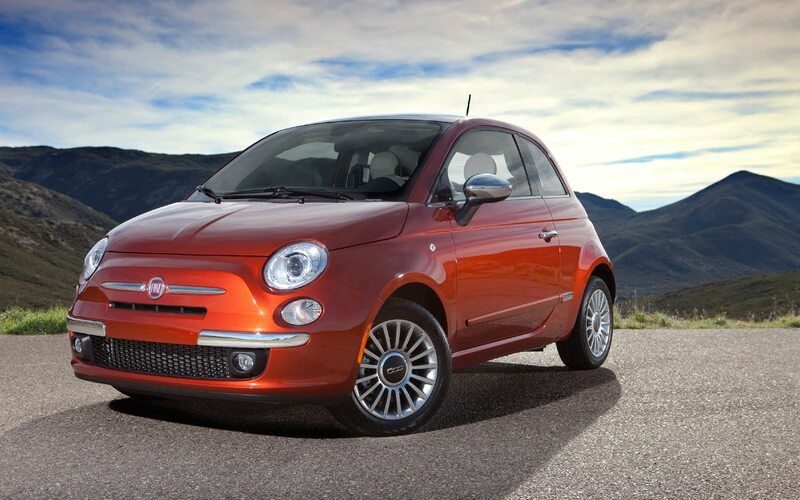 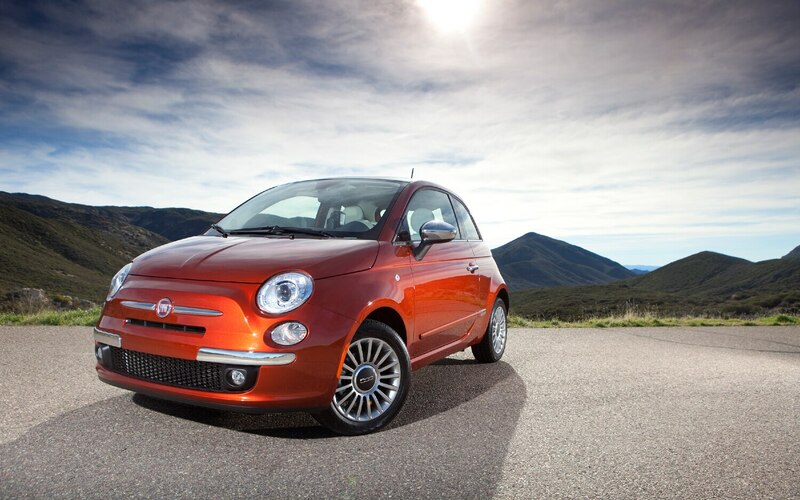 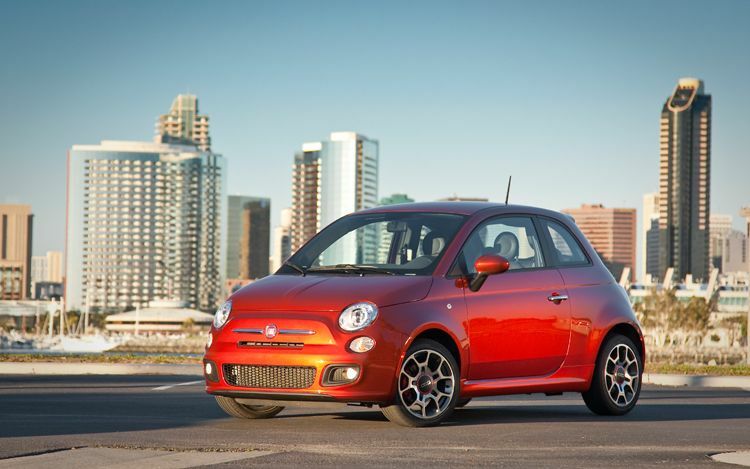 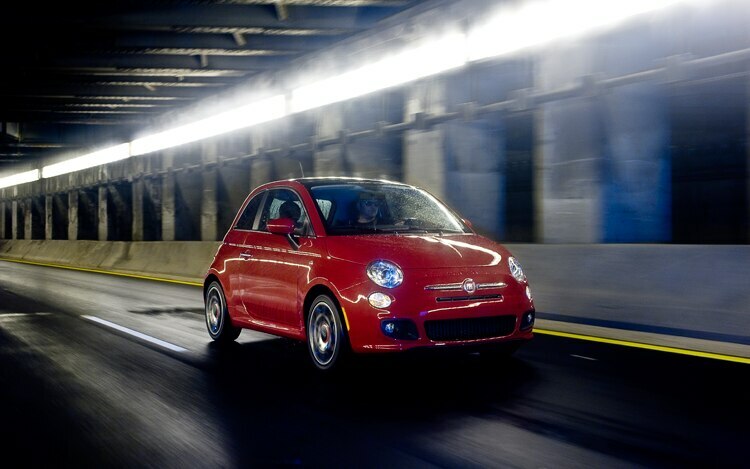 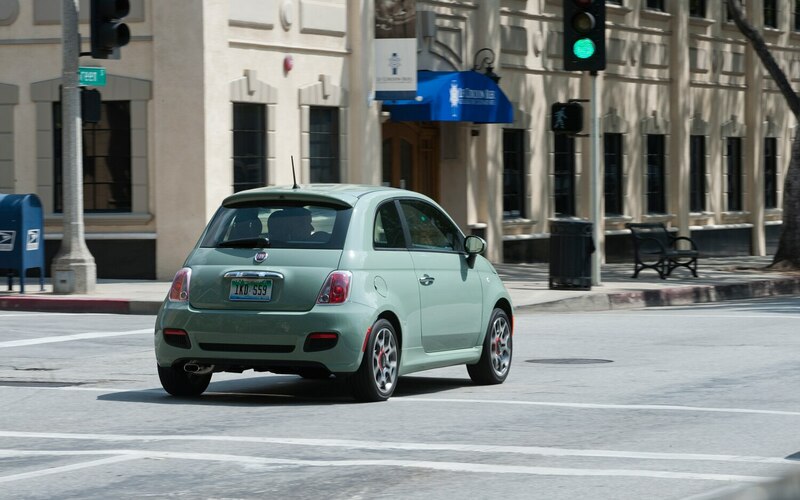 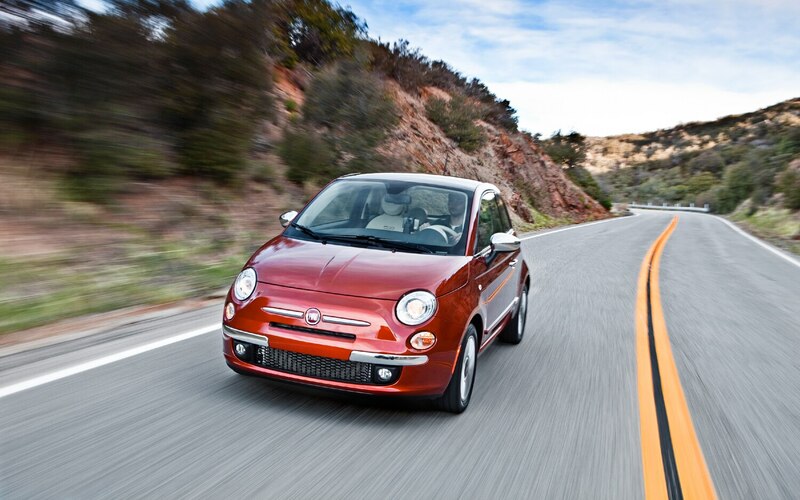 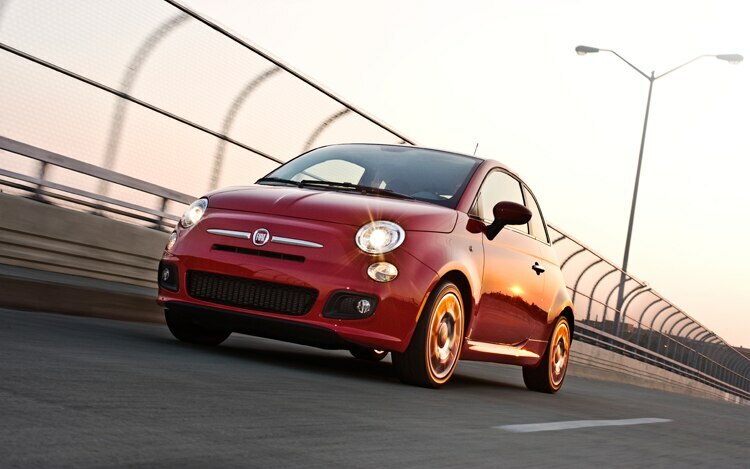 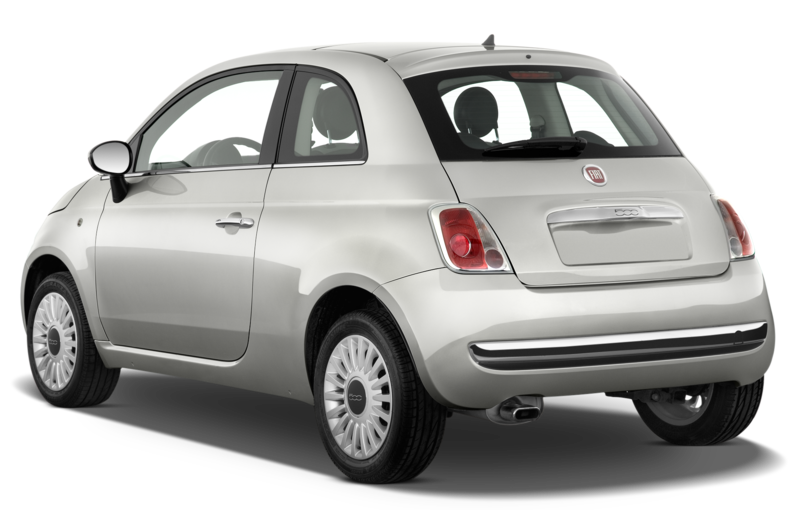 The 500 is so awkward to drive that you might as well peel the roof back, slow down even more, and let in the scenery. 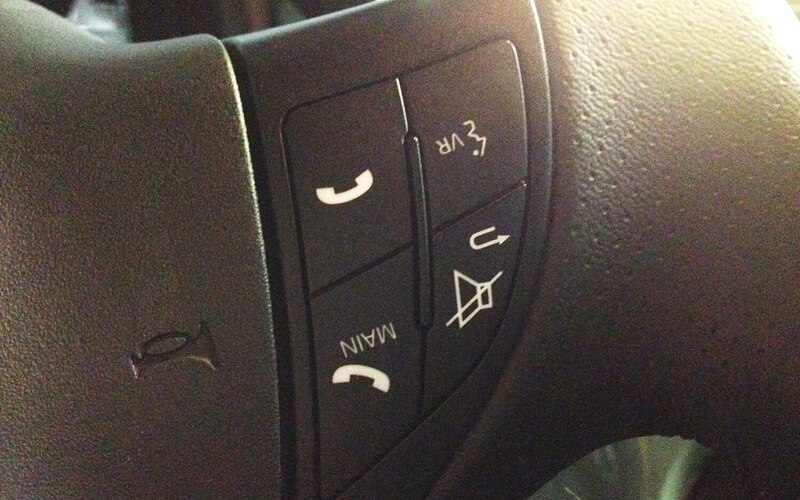 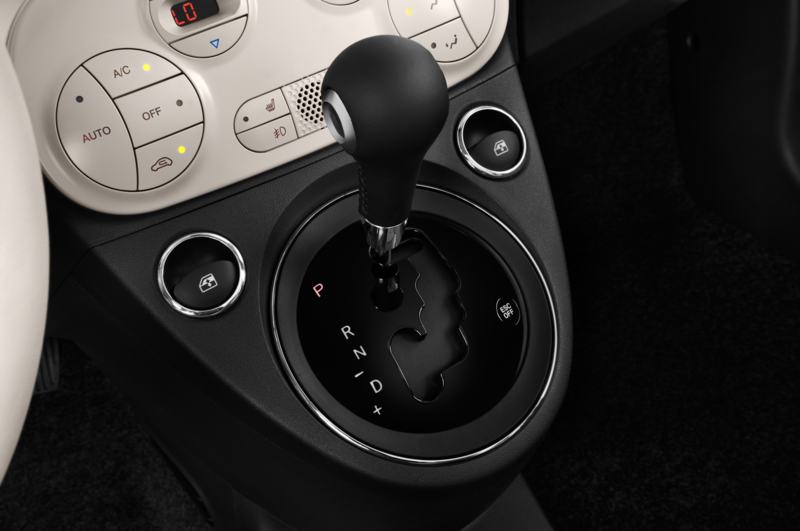 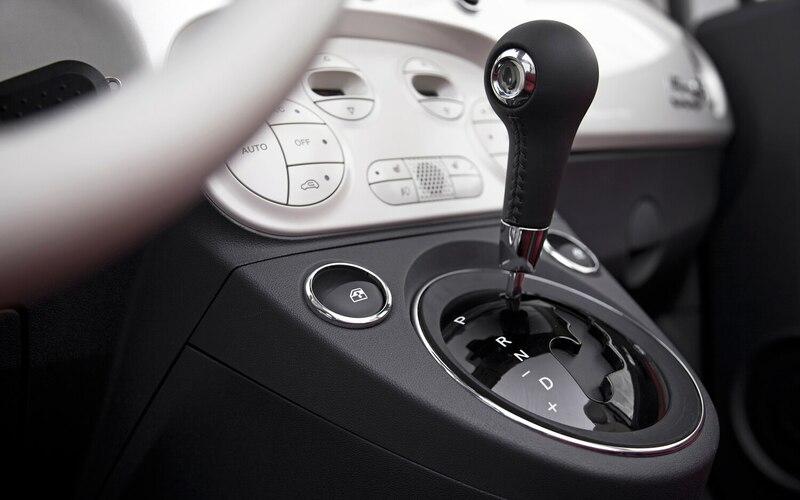 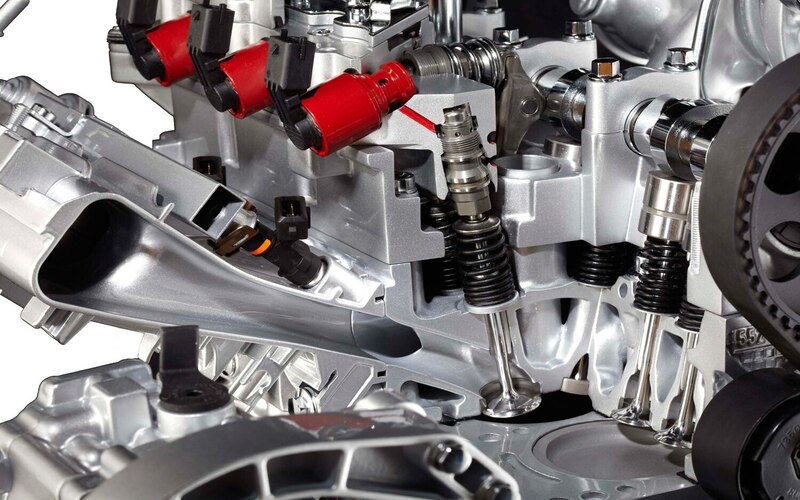 I cannot get past the seat height/clutch pedal relationship in any 500, so I’d like to try an automatic transmission. 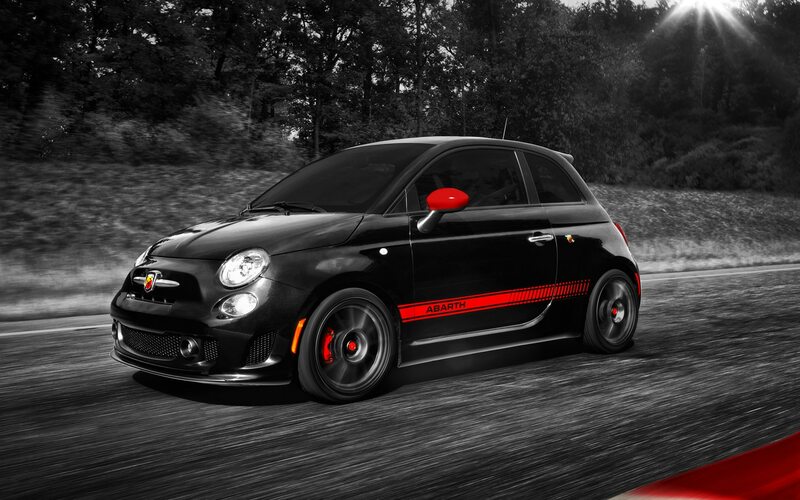 This car can’t get much slower, right? 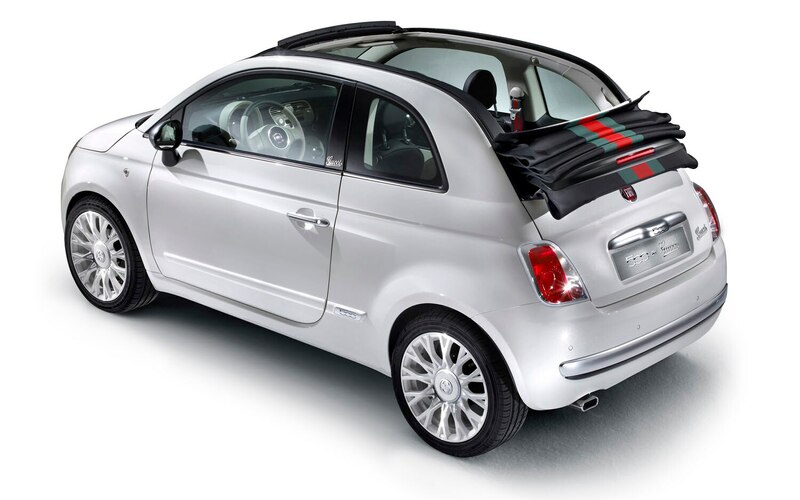 At least the folding cloth top distracted me from the ergonomics for a little while. 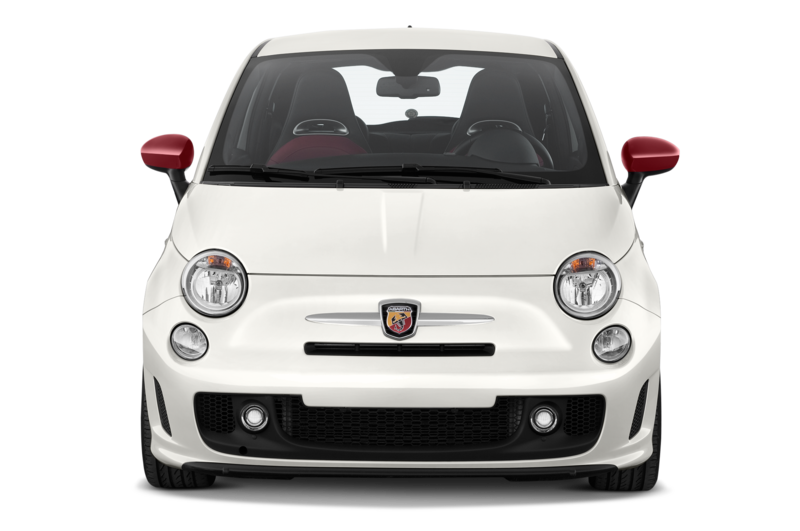 As much as I enjoy the suspension tuning and highway stability in the Fiat 500, there are a lot more logical small car choices. 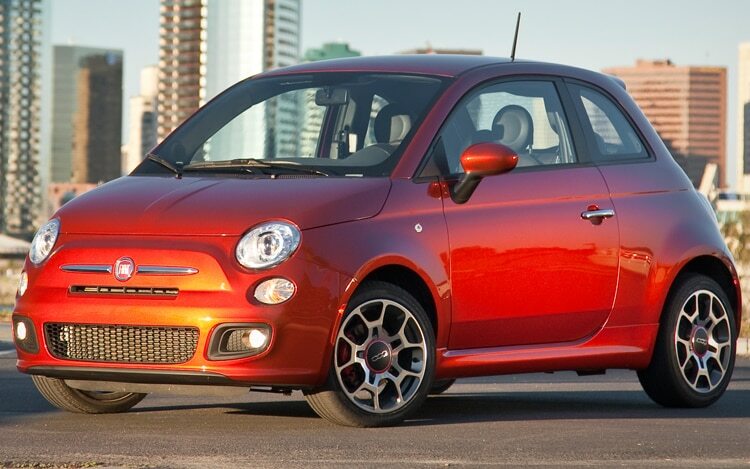 It’s a shame the tiny 500 can’t reach the magic 40-mpg mark since it’s got such a small engine. 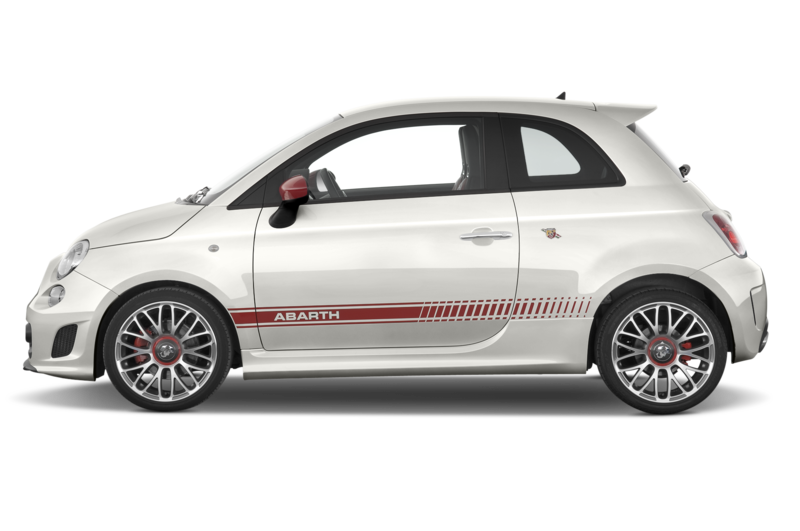 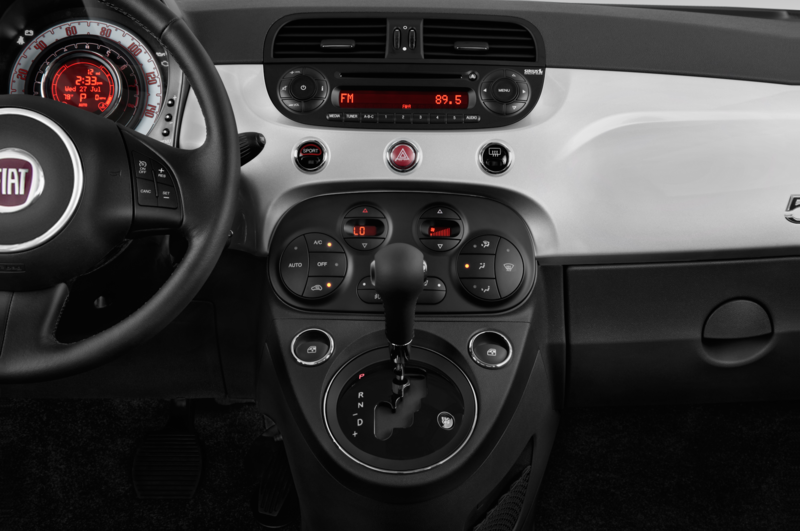 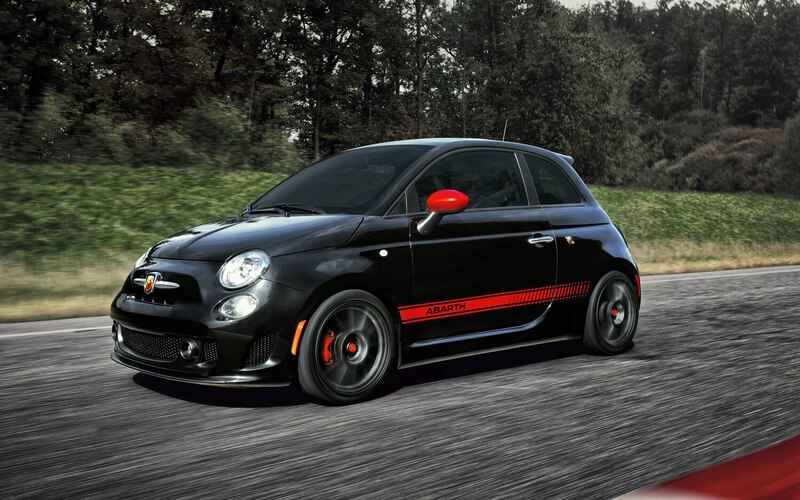 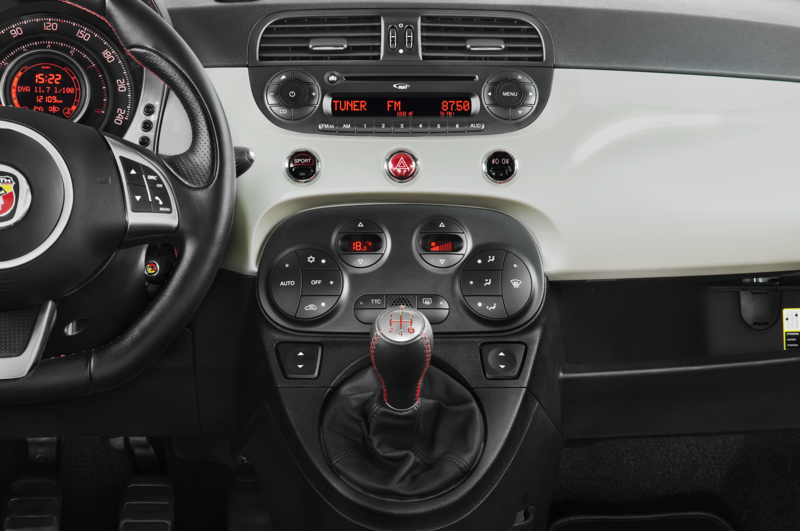 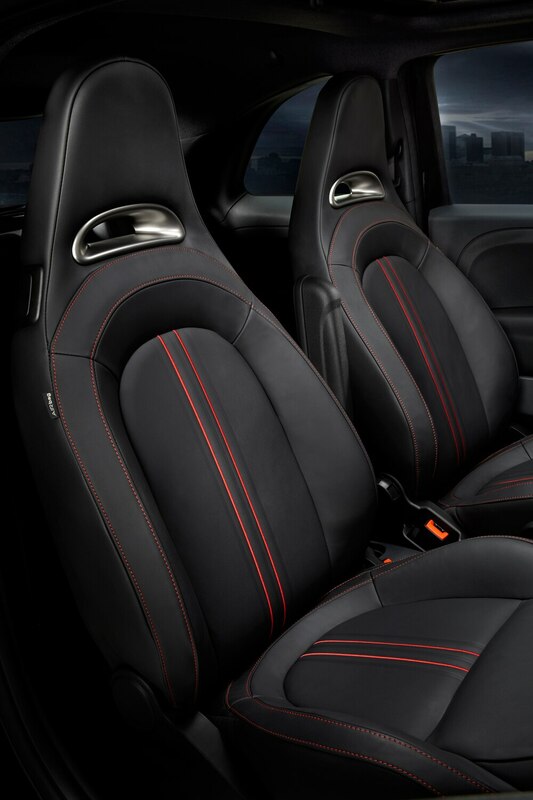 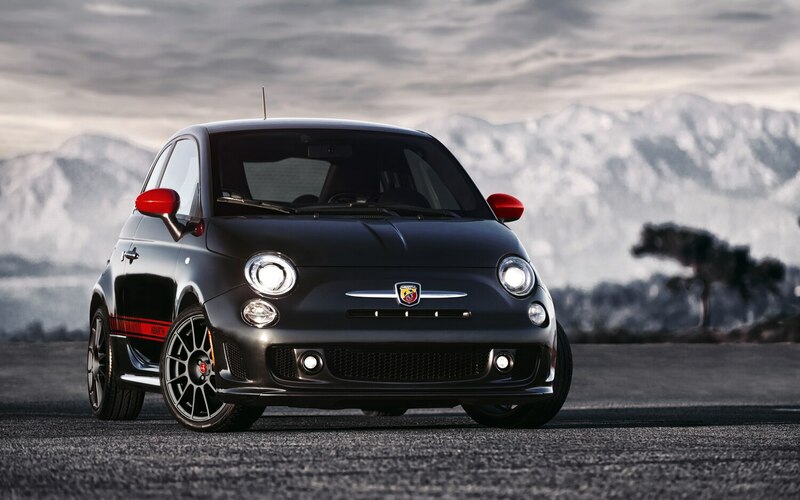 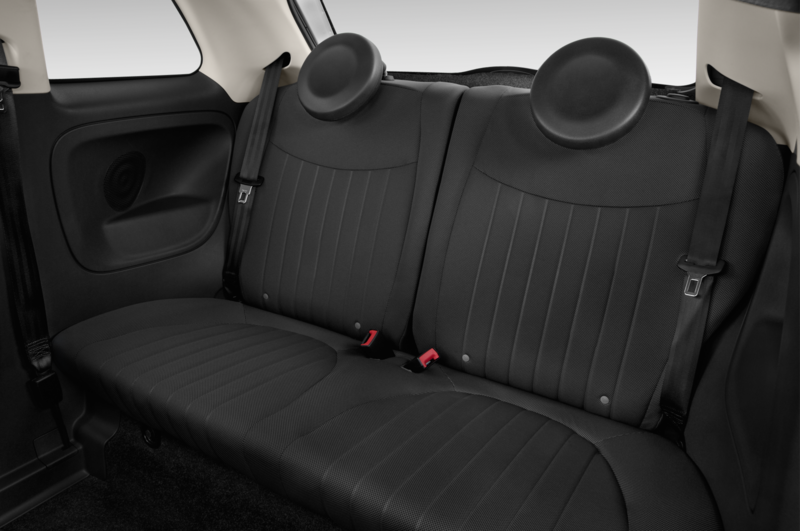 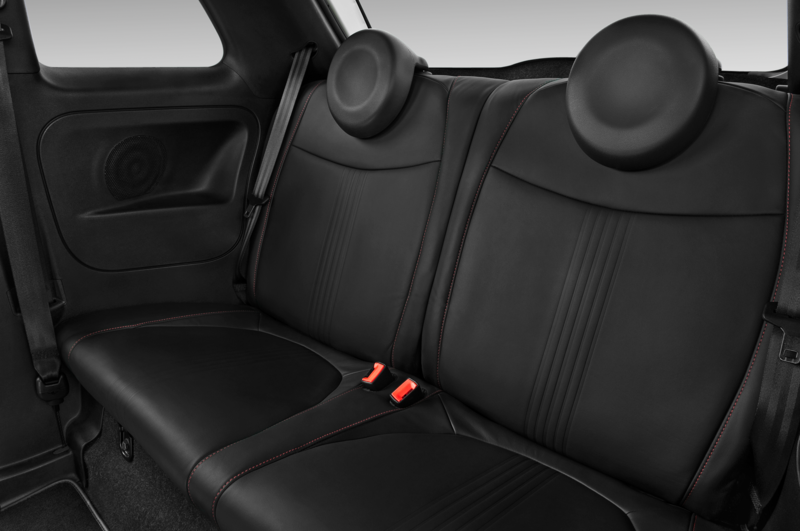 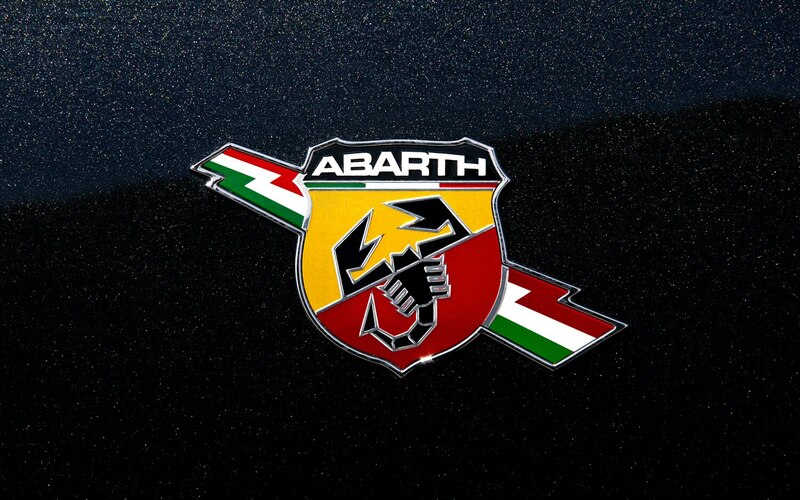 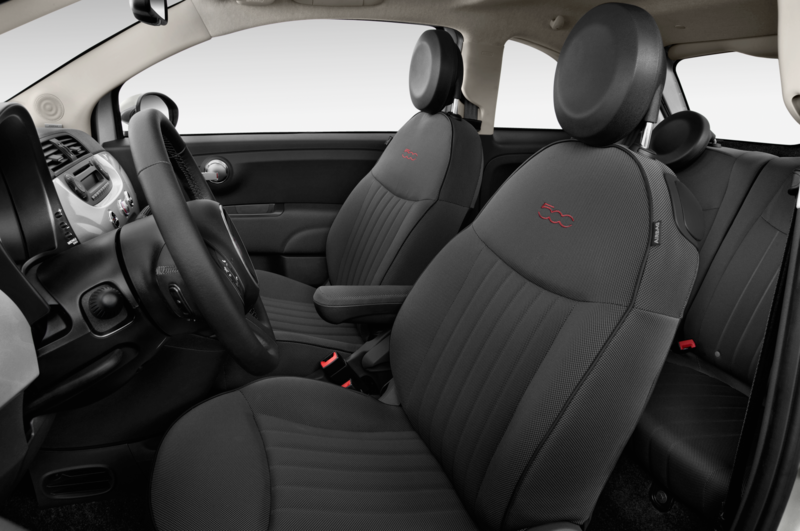 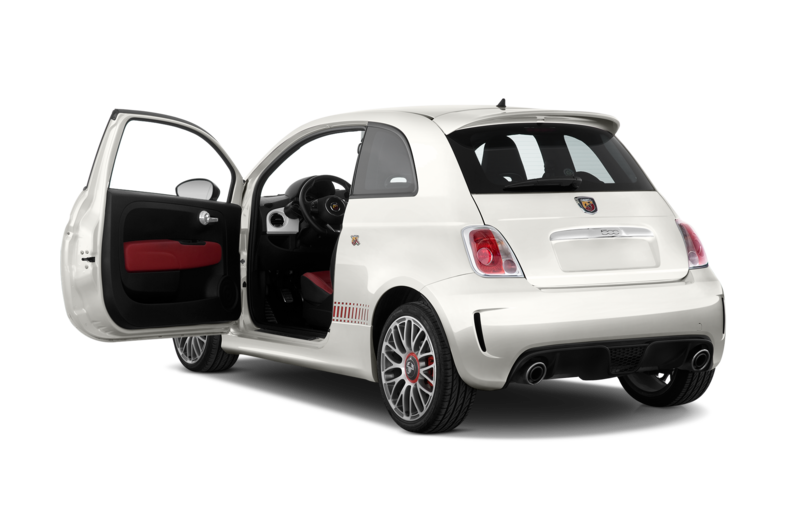 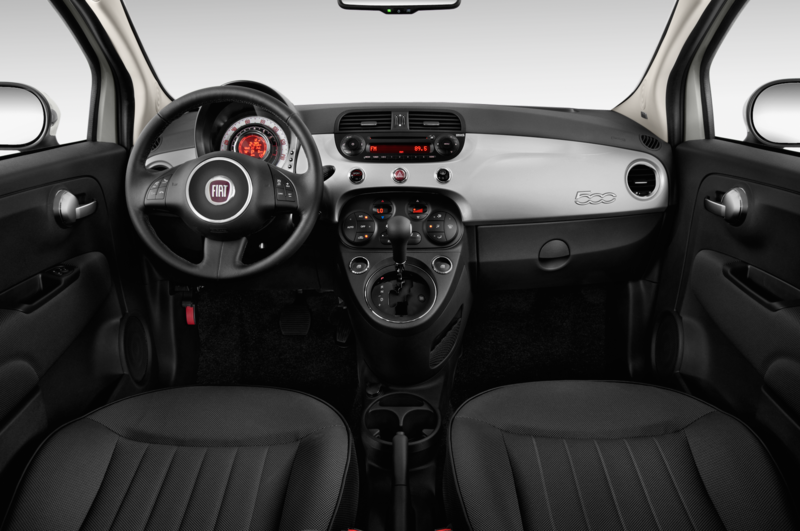 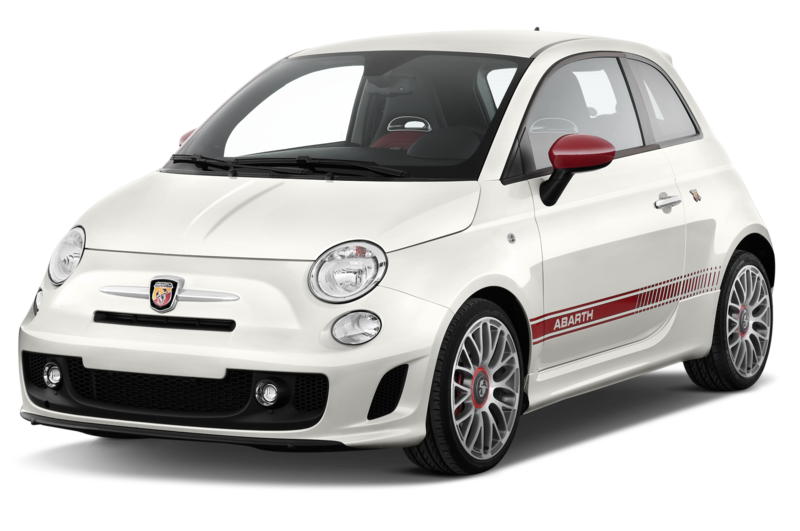 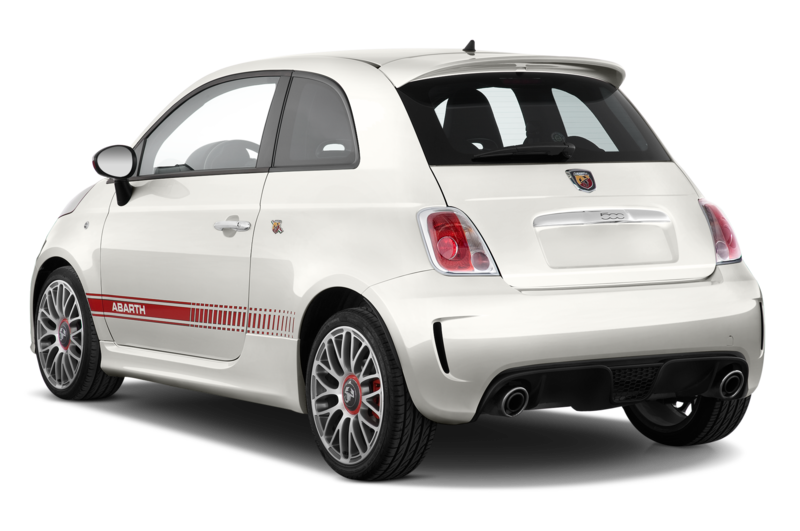 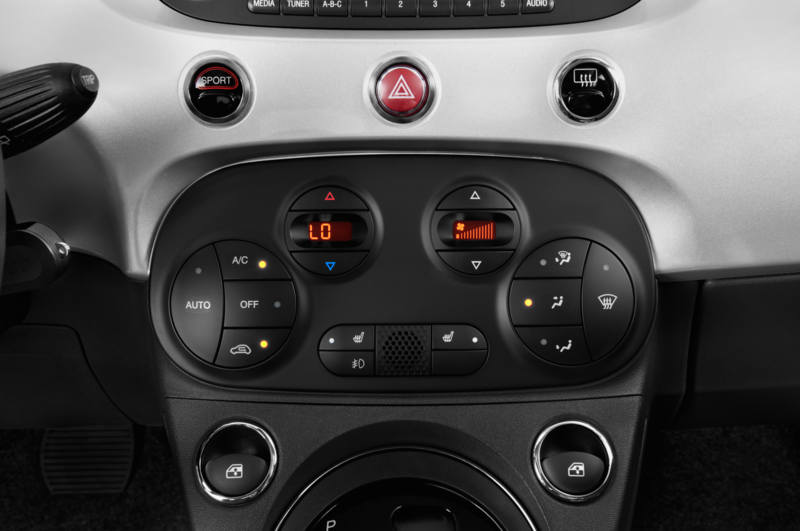 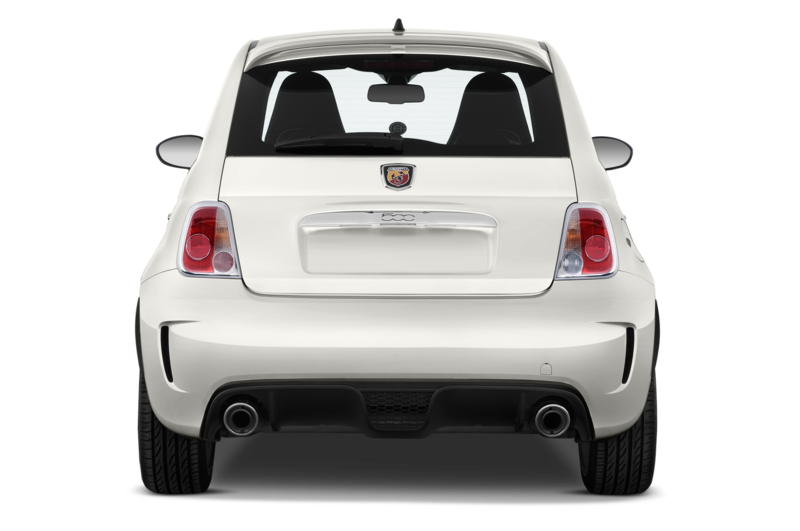 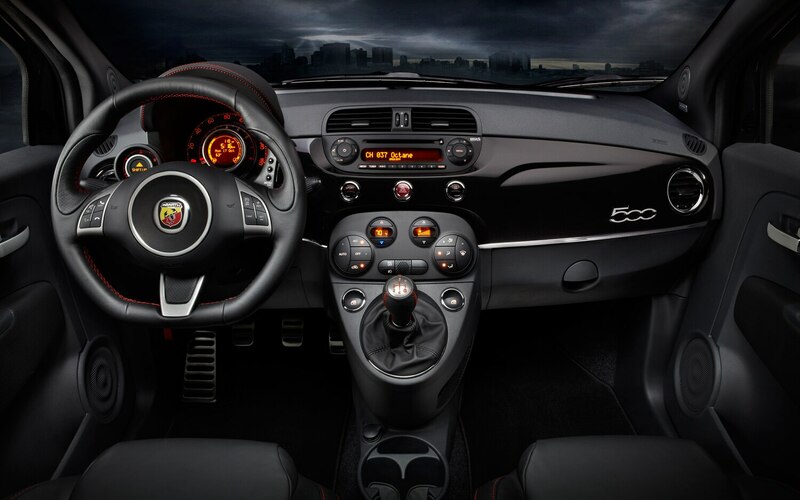 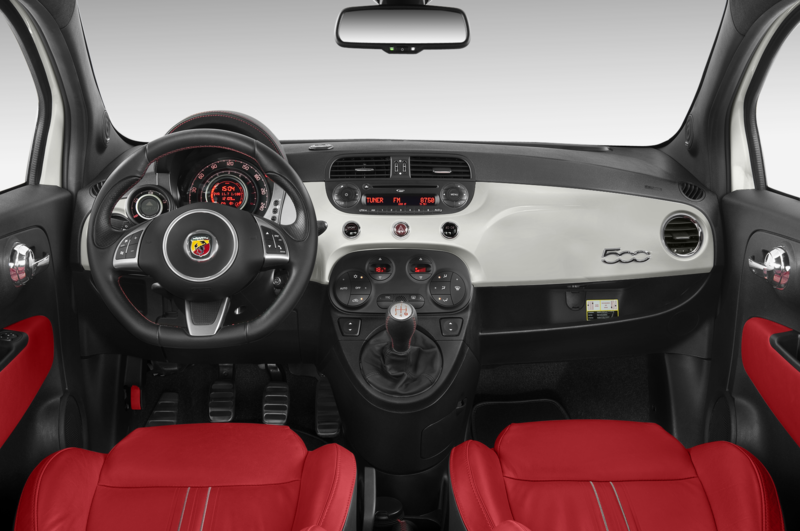 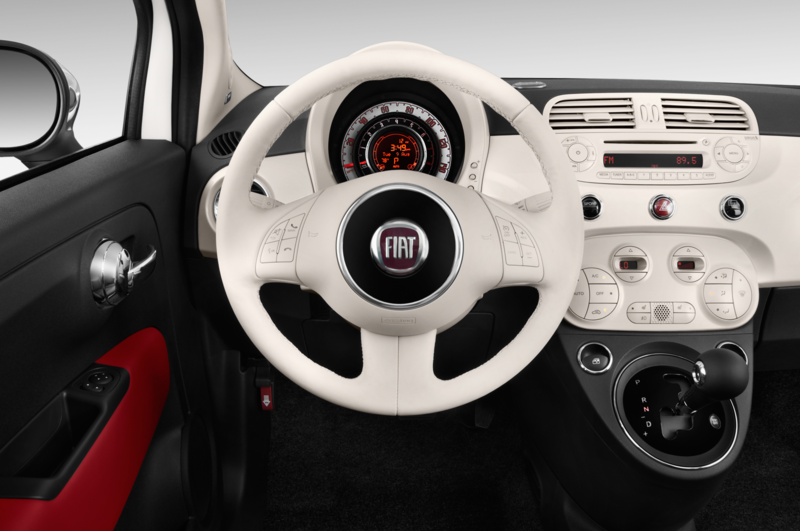 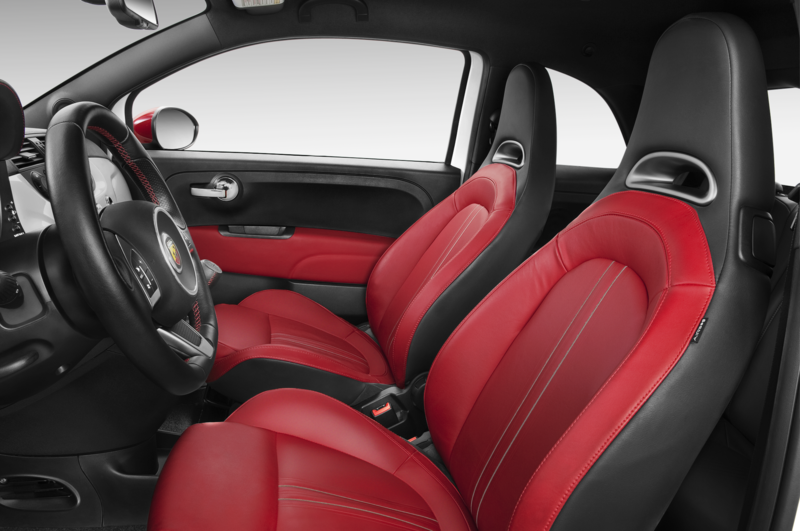 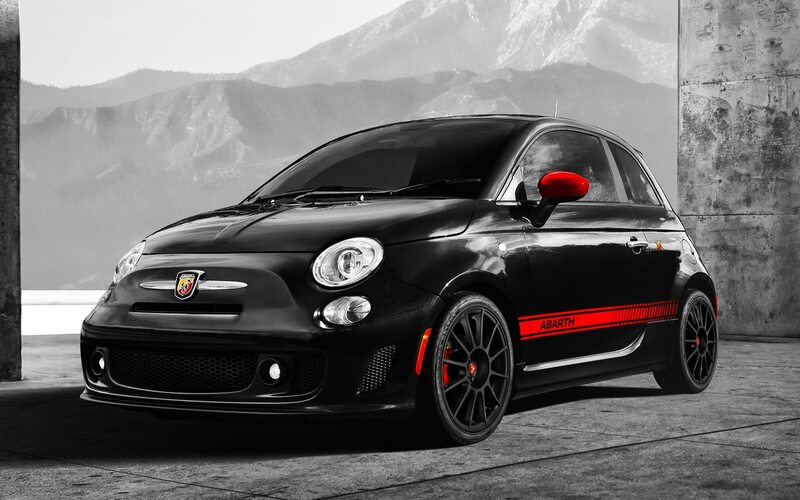 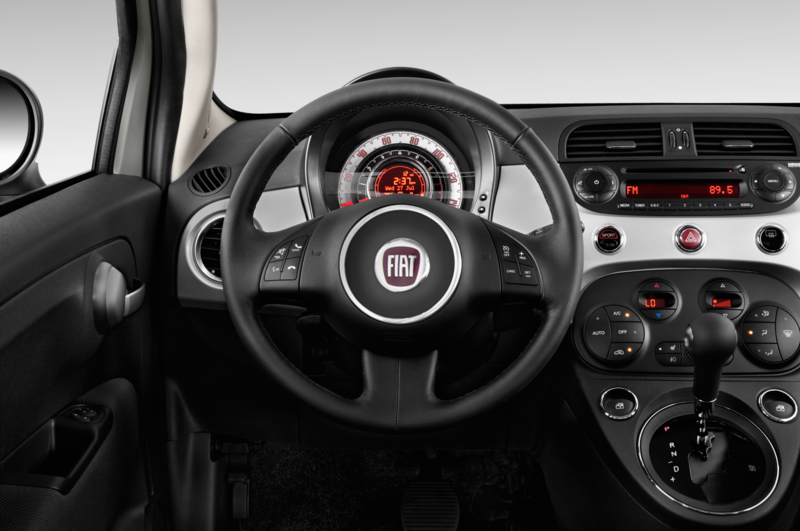 I don’t mind the small interior and footprint, but Americans equate small cars with great gas mileage and the 500 falls short since it’s not powerful enough to be considered a hot hatch unless you upgrade to an Abarth. 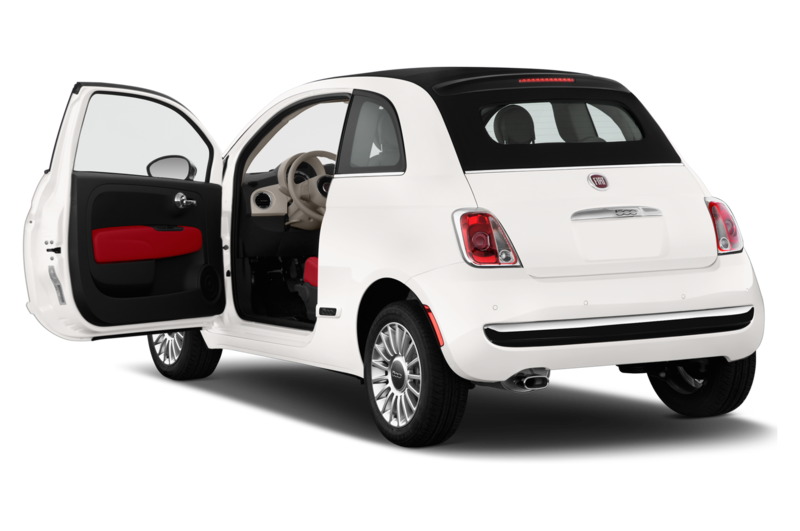 If you’re convinced the 500 is the right size for you and parking is at a premium in your city, there is a lot to like about this car. 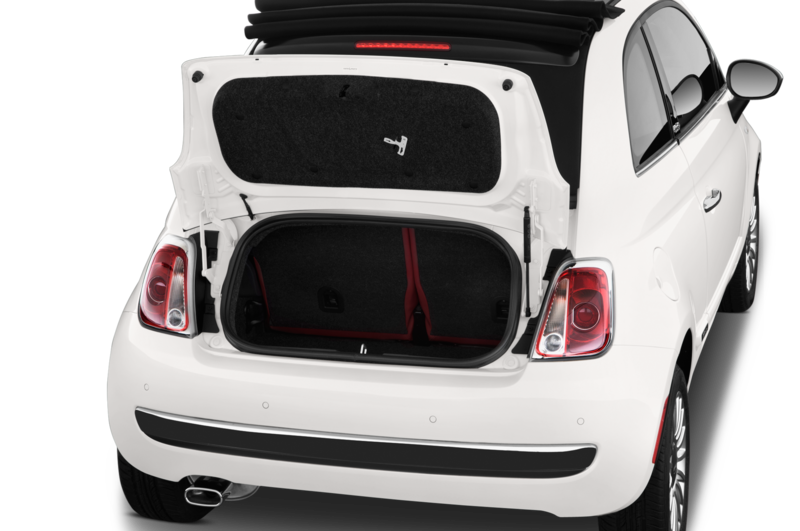 It rides well, holds a surprising amount of cargo, and now the top rolls back to let in the scenery. 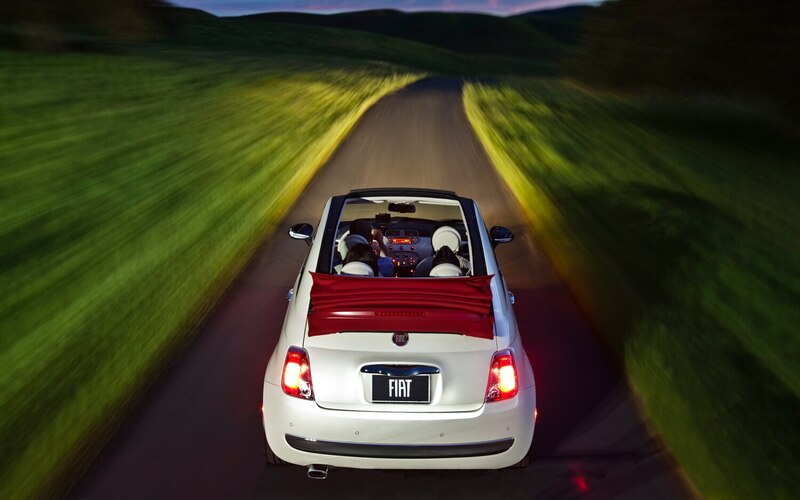 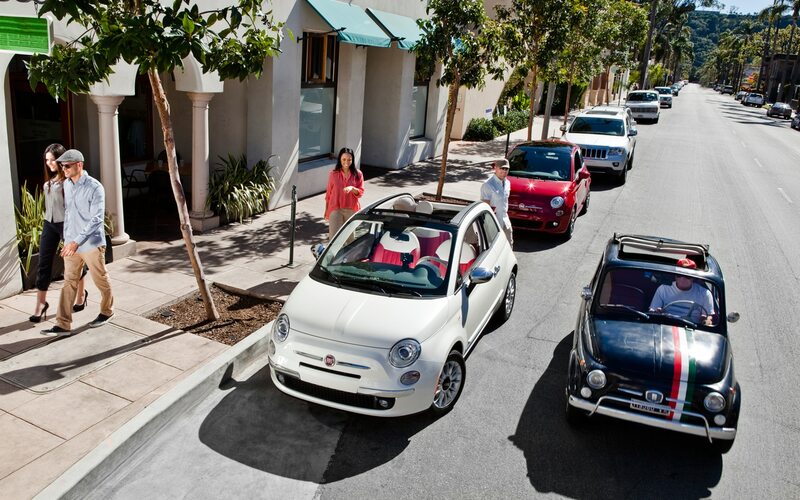 Phil has it right about slowing down to enjoy the drive in the 500C. 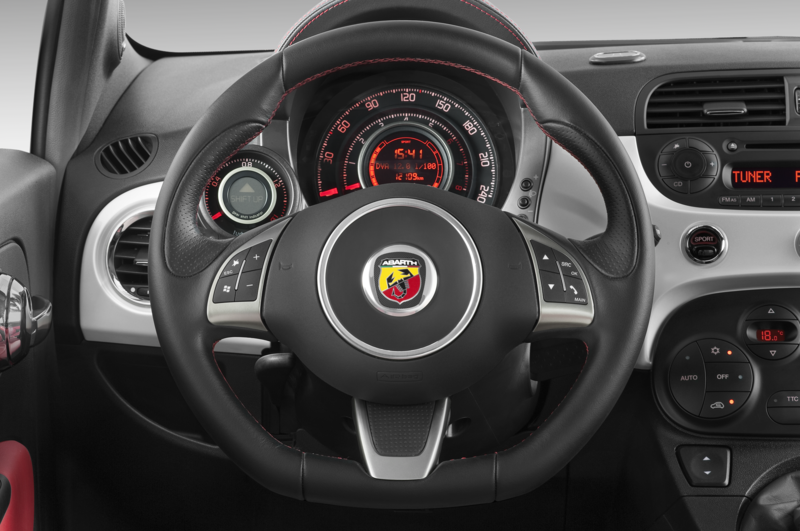 One of my favorite parts about top-down motoring is, oddly enough, zipping down the highway al fresco and marveling in the physics of the airflow over the windscreen and past the top of your head. 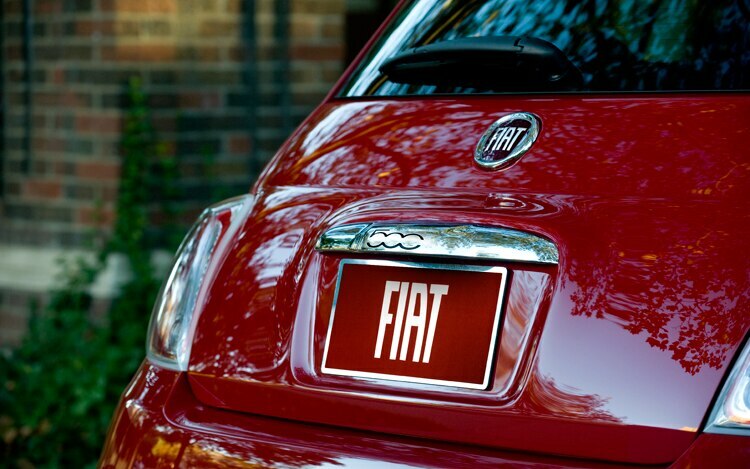 (Yes, I’m a dork.) 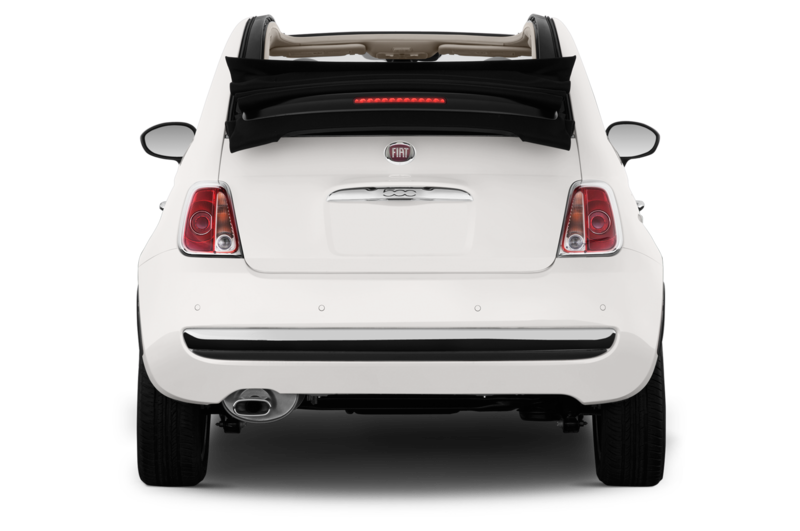 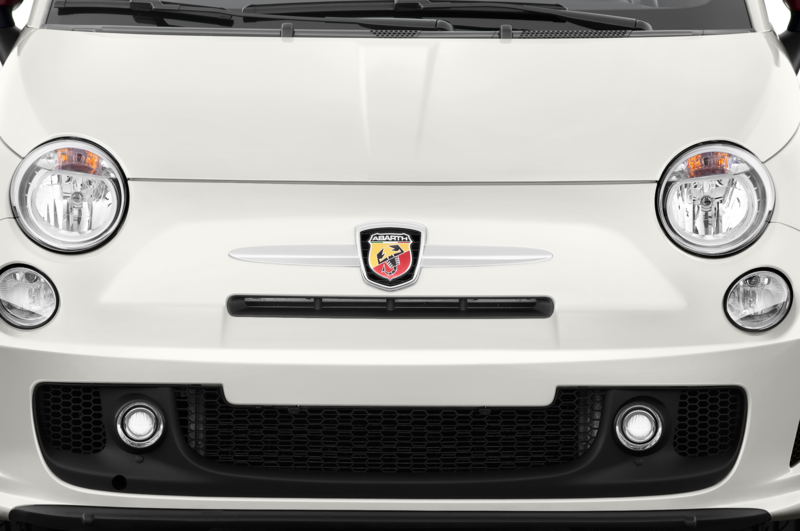 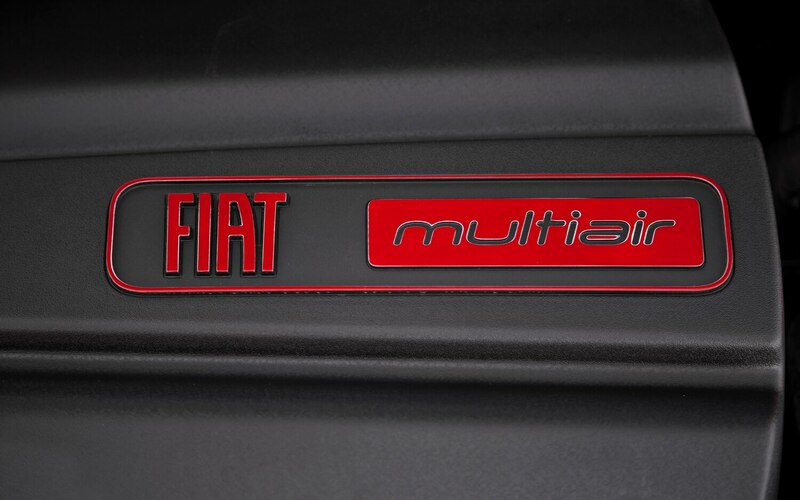 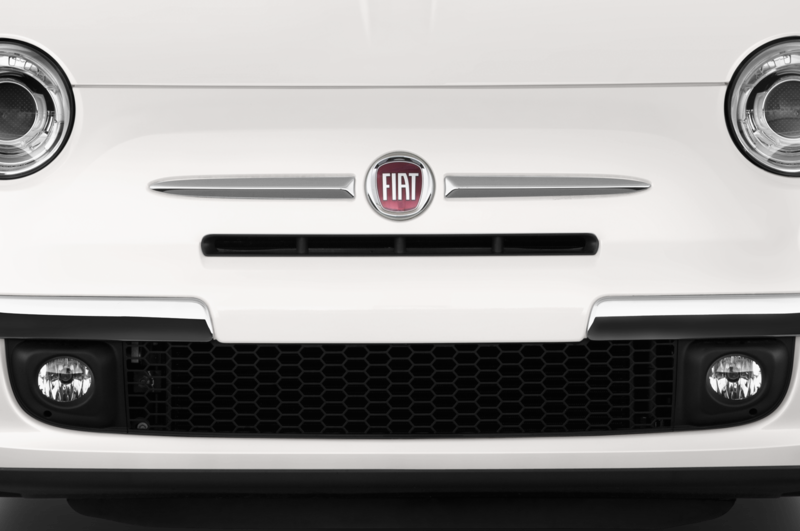 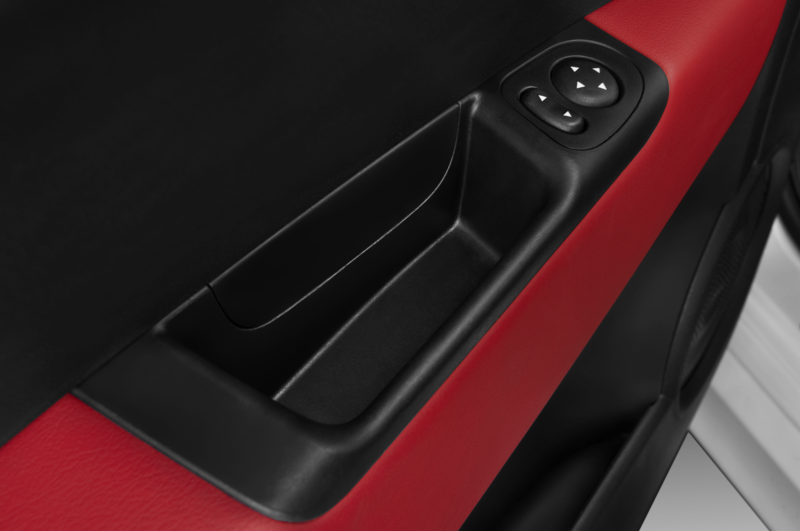 Thanks to the Fiat’s nifty peel-back top, the roof rails stay in place and you can lower or raise the top at speeds up to 60 mph. 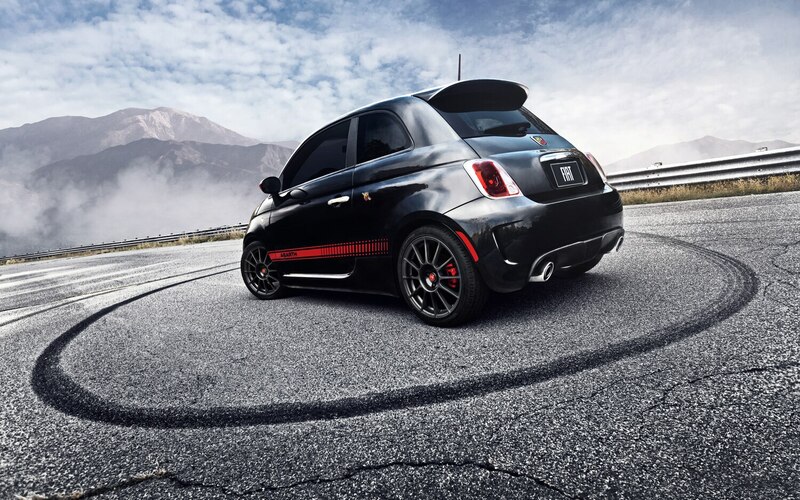 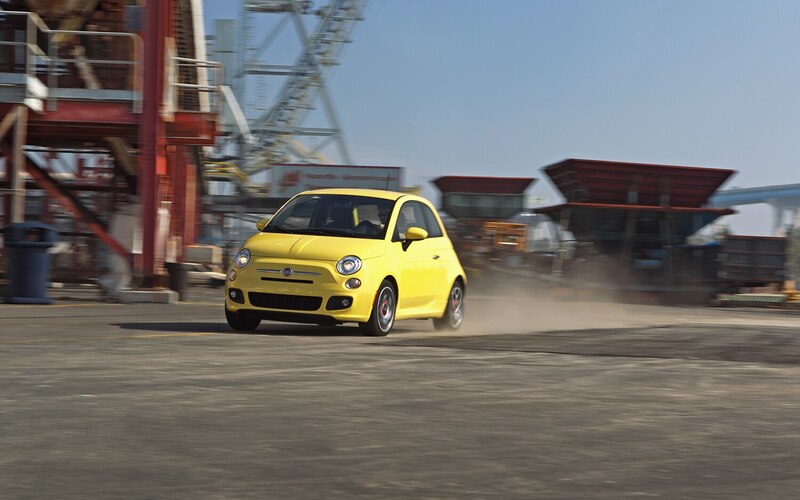 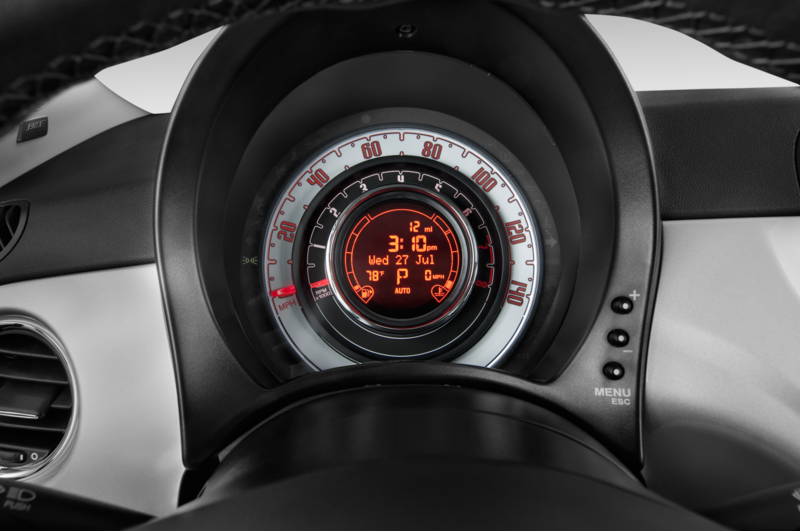 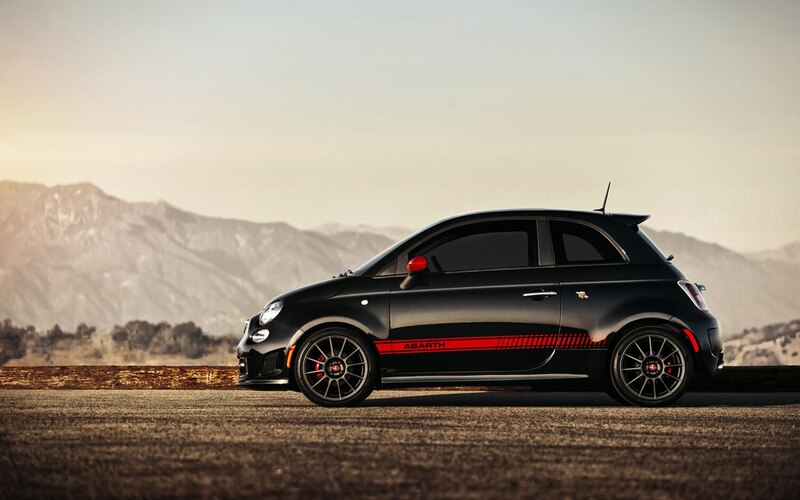 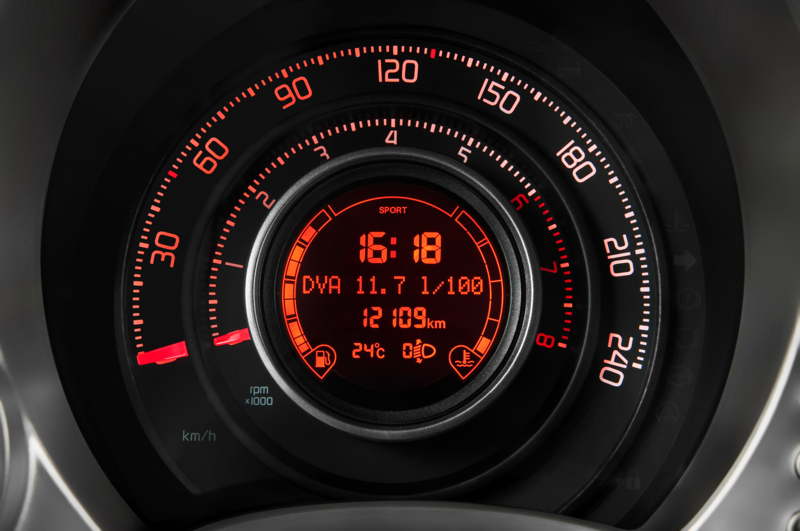 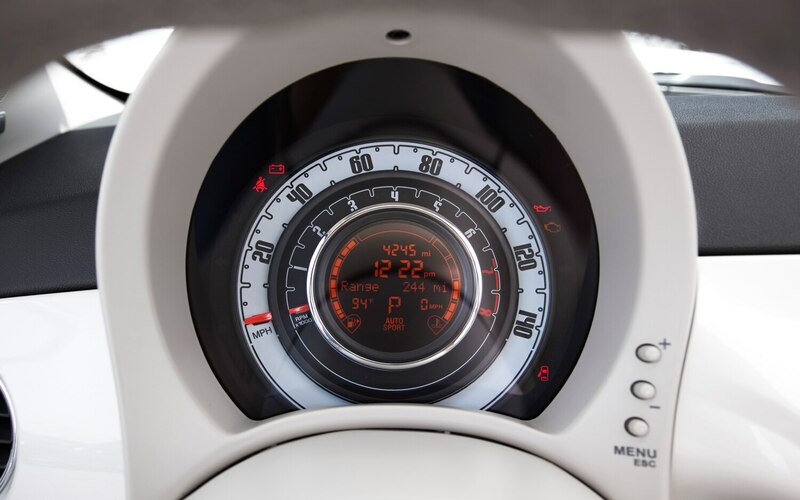 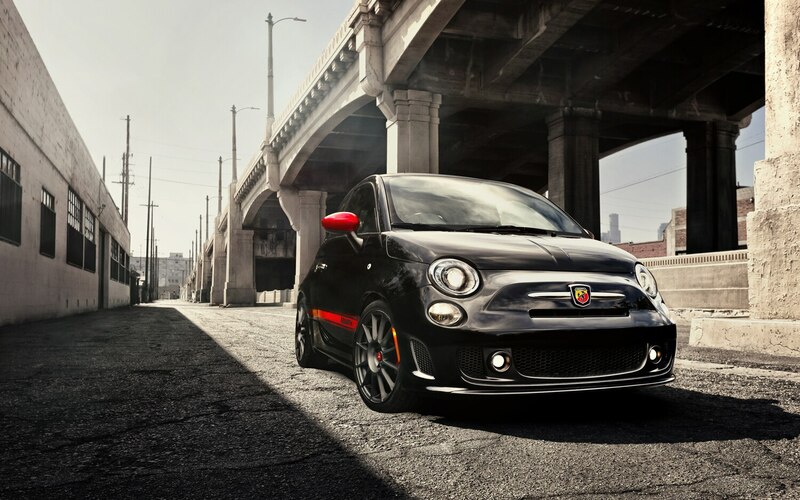 However, you’re not going to want to have the top lowered at speeds anywhere near 60 — at higher speeds causes the tiny Fiat to blow around like a yarn ball being played with by a cat. 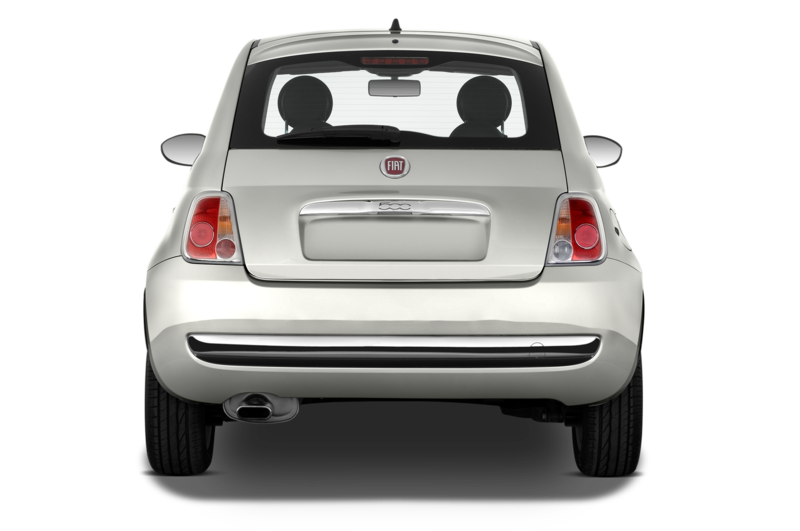 From what it felt like, the air was flowing over the top of the windscreen and then swirling around the cabin and trying to get out through the rear side windows (which don’t lower); part of the blame for this goes to the top that stacks up pretty tall. 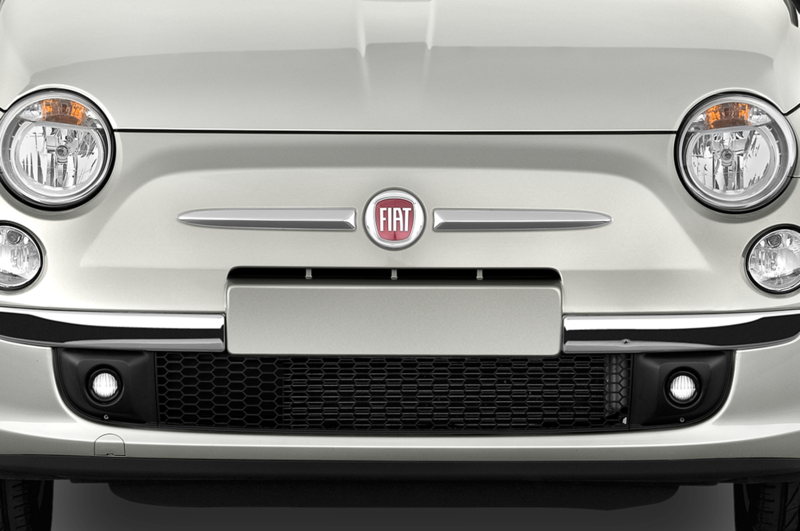 Also, lowering the roof completely blocks almost all rearward visibility. 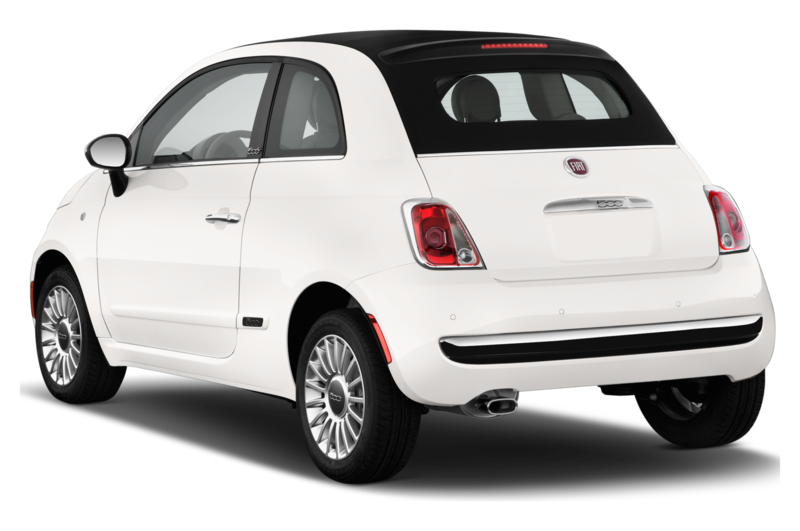 But the 500C isn’t about fast highway cruising or technologically advanced wind management — it is about slowing down, taking in the sun, and living la dolce vita. 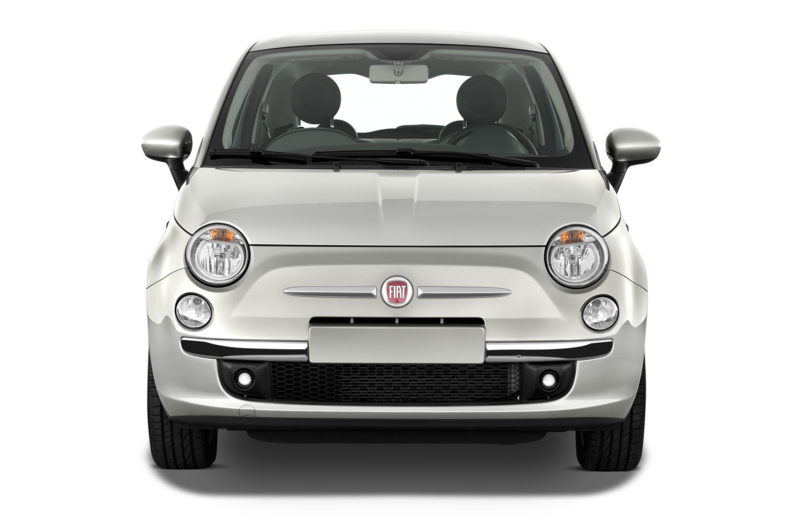 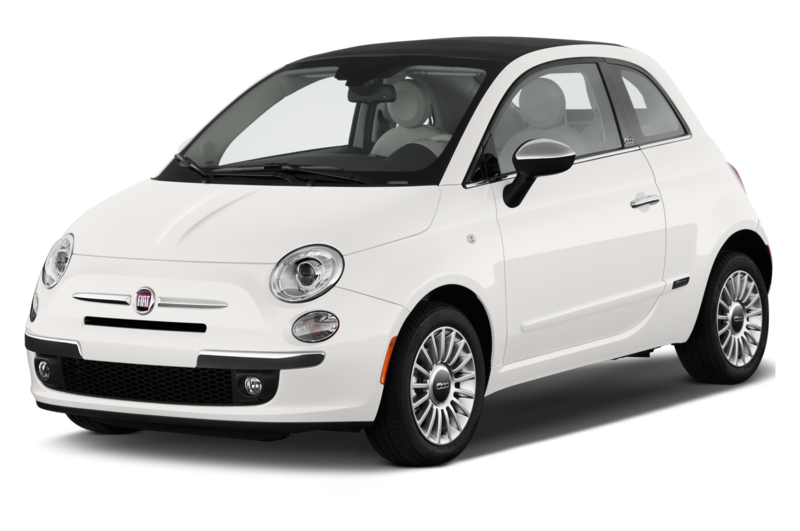 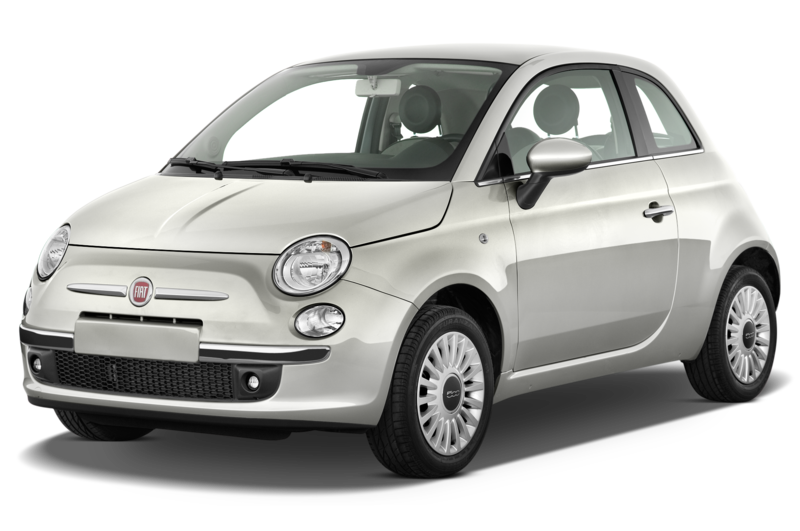 We currently have a hardtop Fiat 500 in our Four Seasons press fleet, so when the 500C convertible joined us for a short time, it gave us a good chance to compare the two cars. 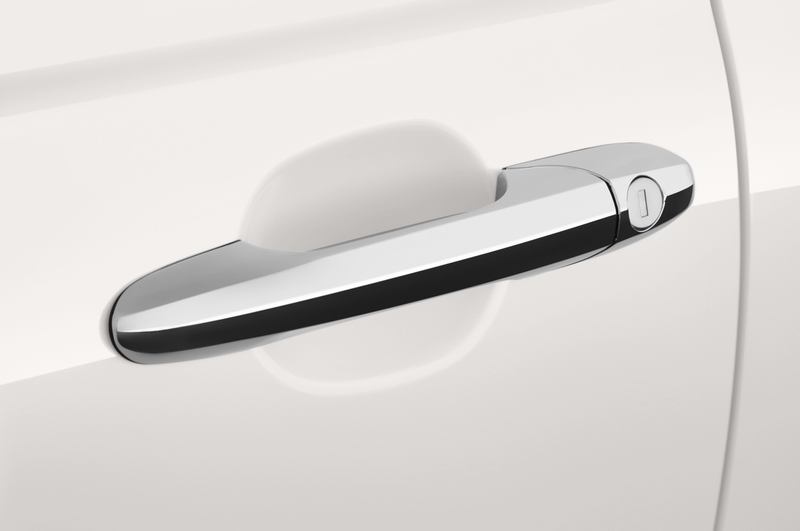 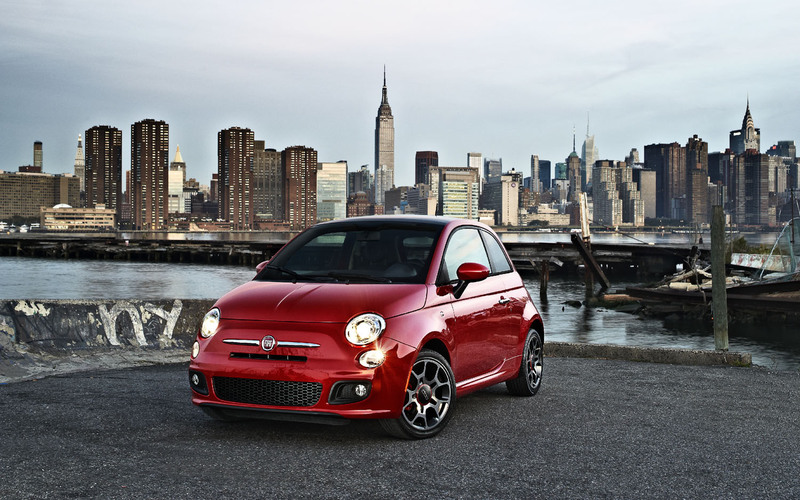 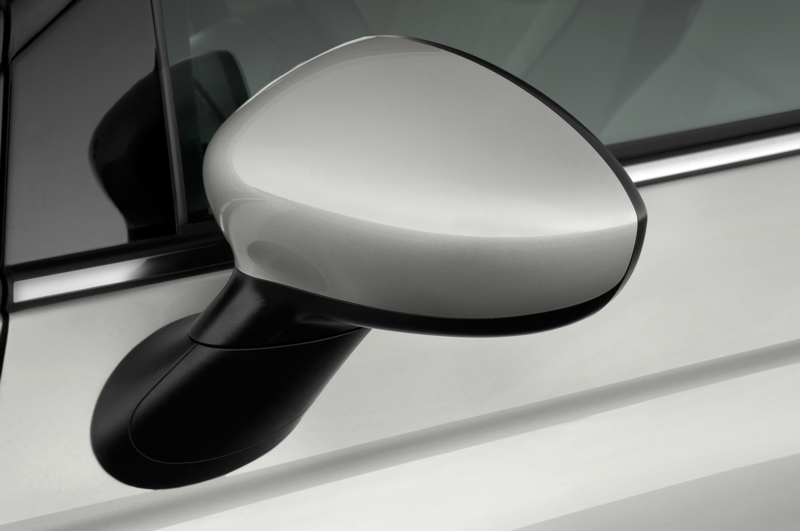 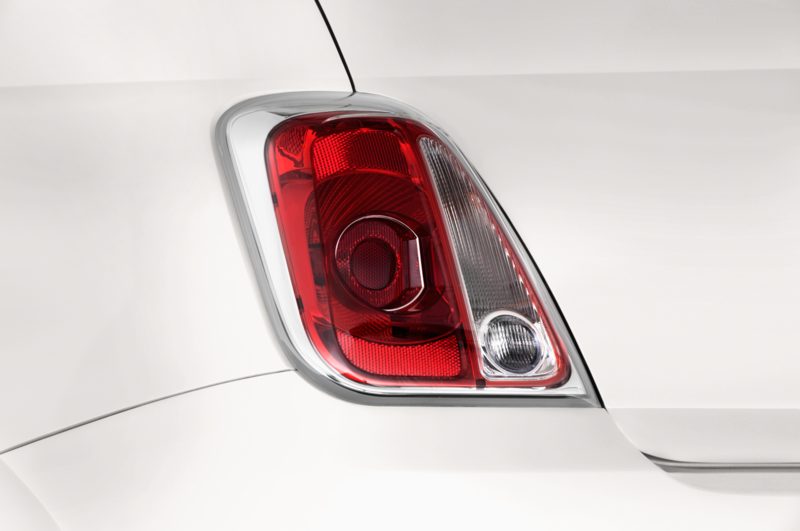 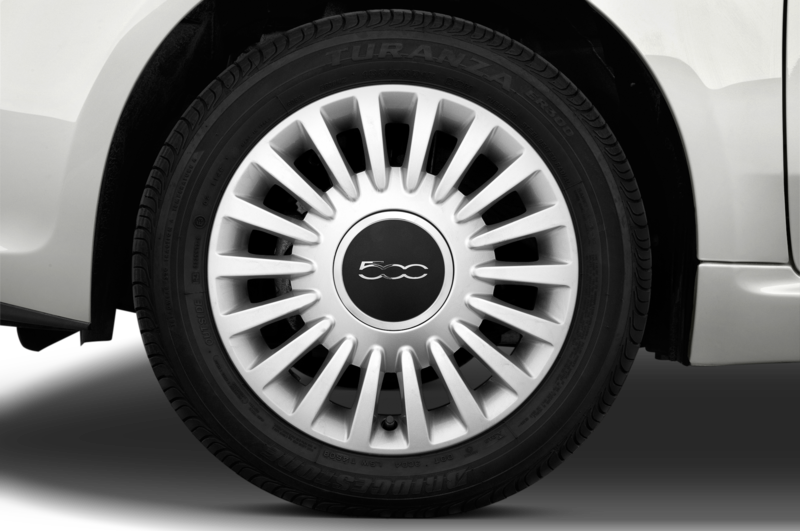 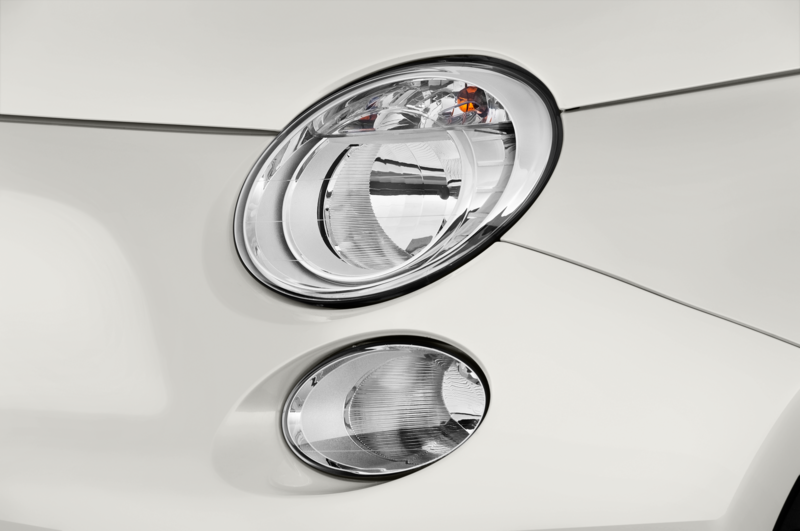 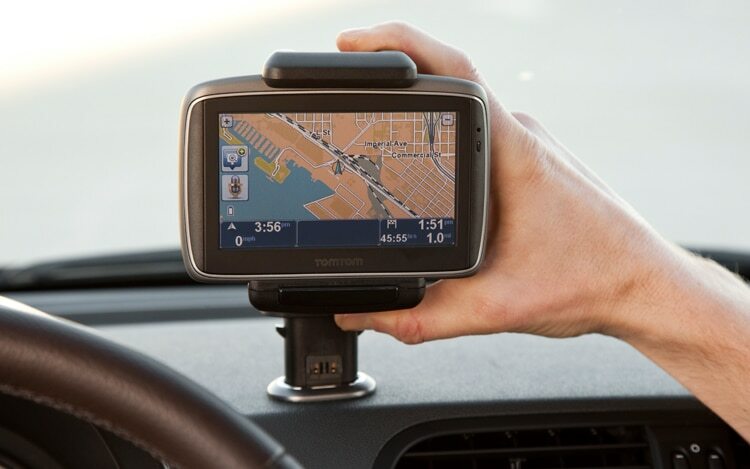 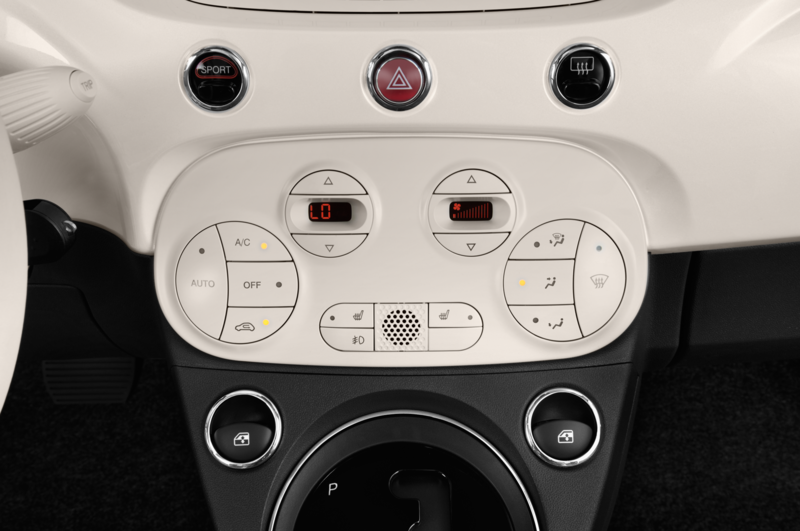 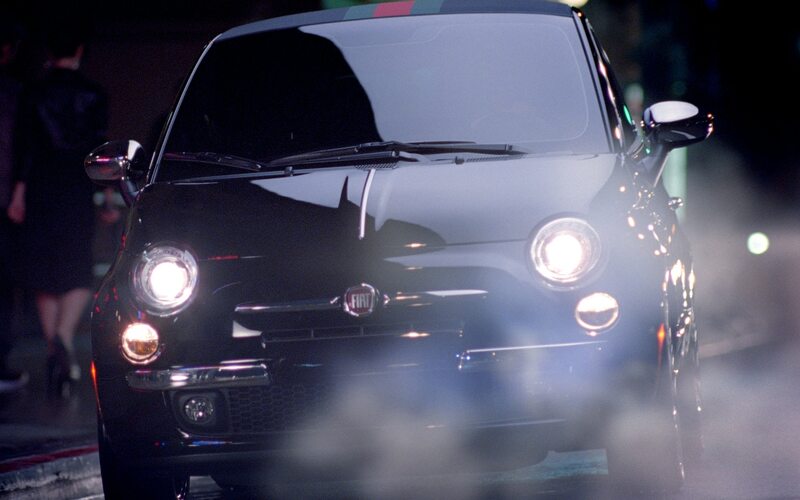 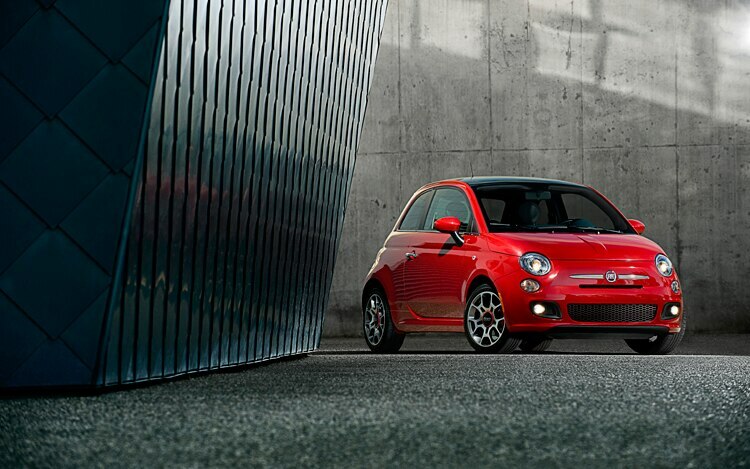 The 500’s defining character, with either top configuration, is its jellybean-like shape and tiny size. 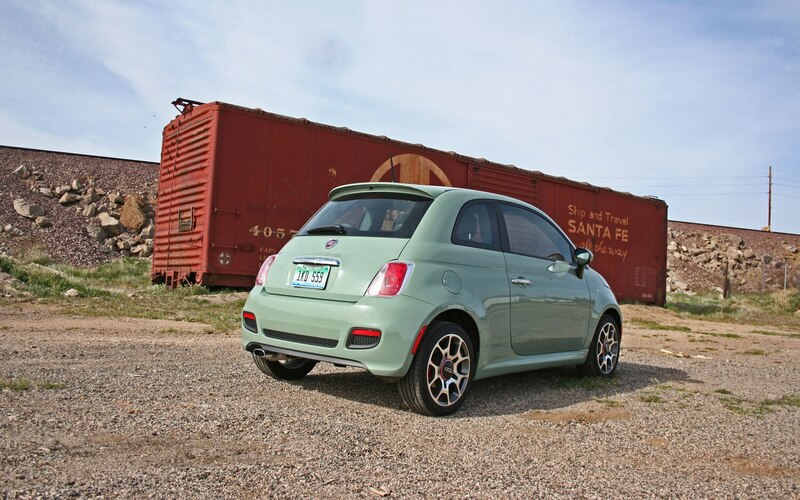 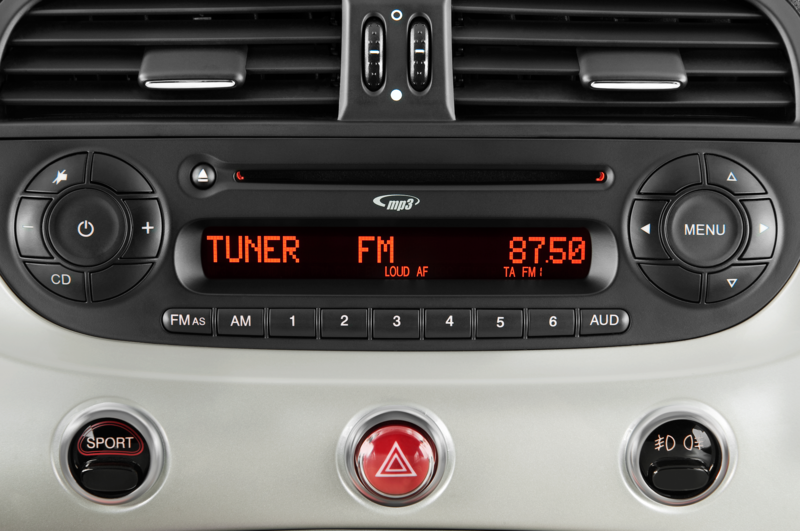 Both cars look “cute” — which can be a plus or a minus, depending on what you think your car says about you. 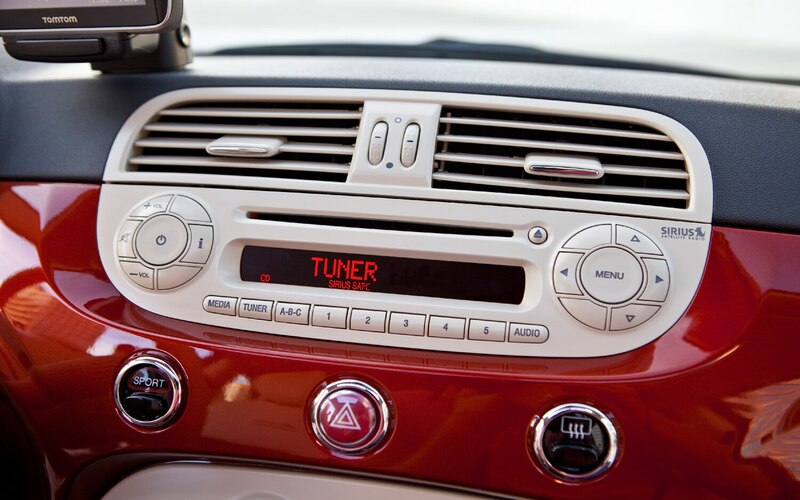 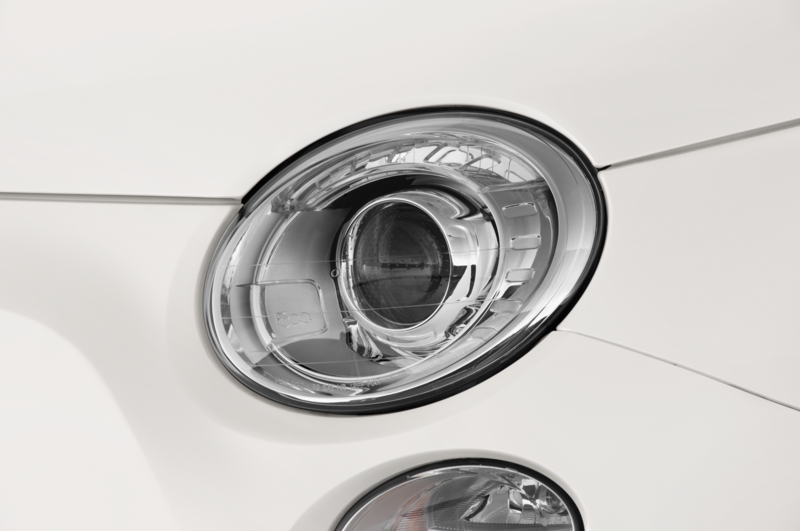 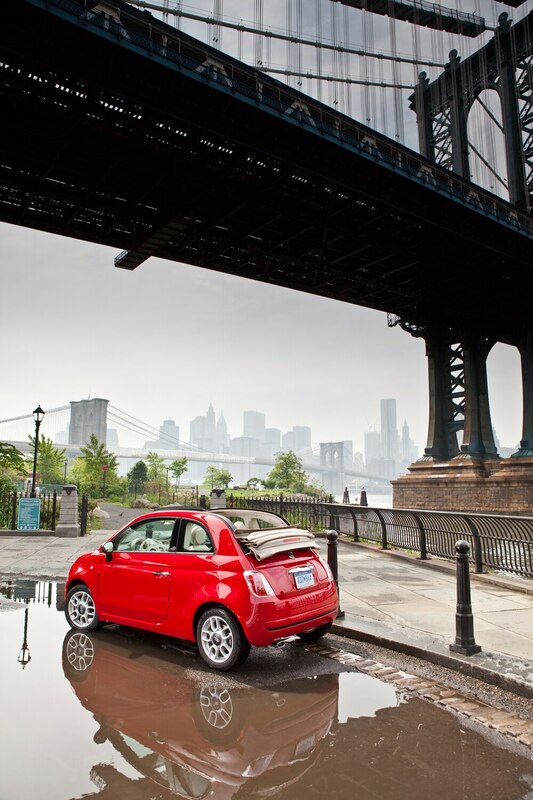 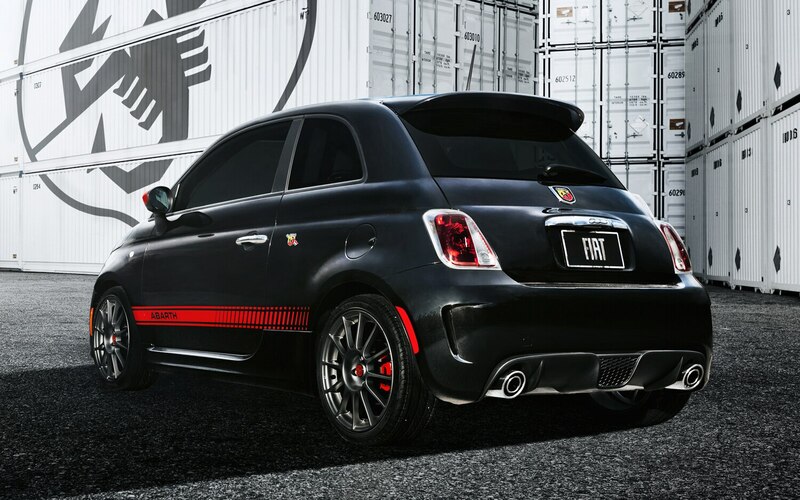 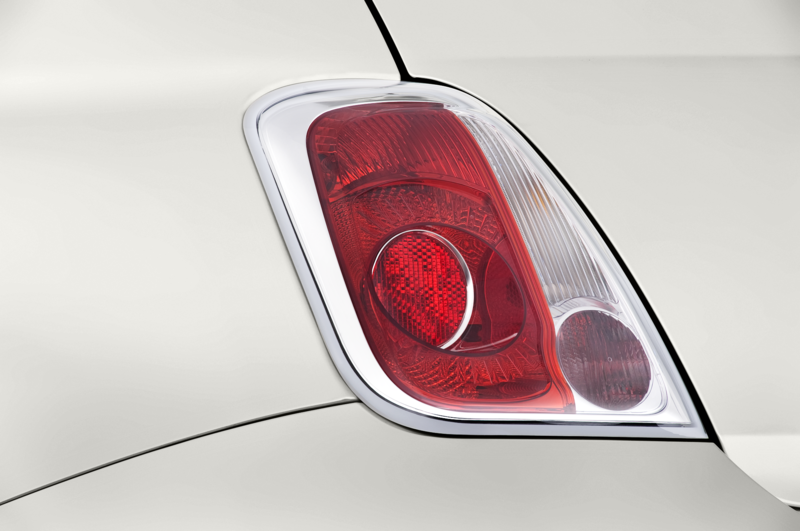 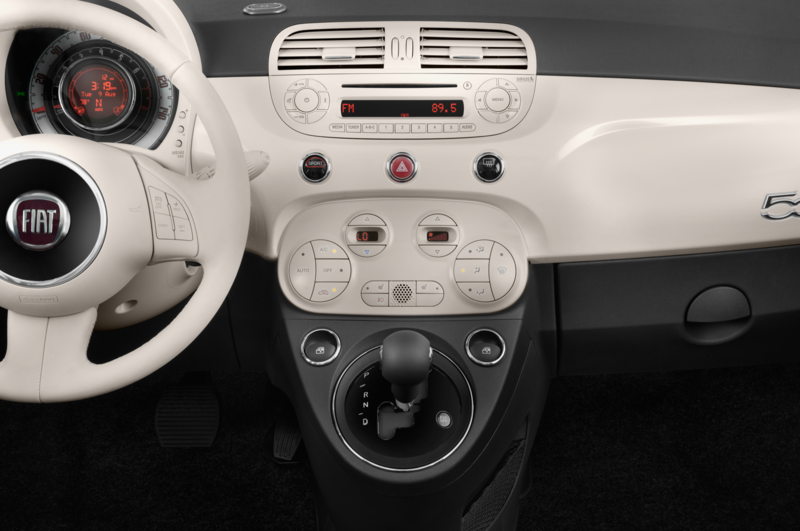 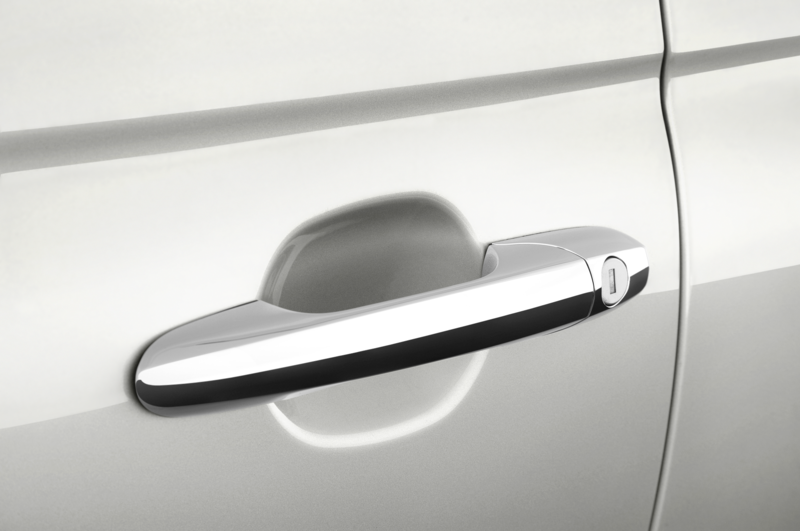 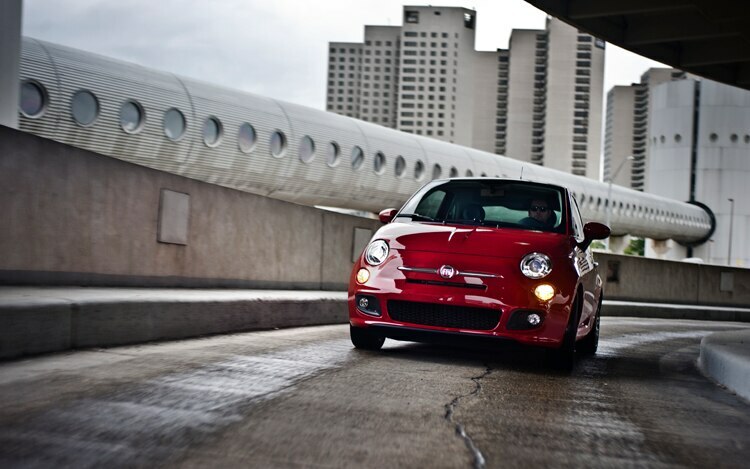 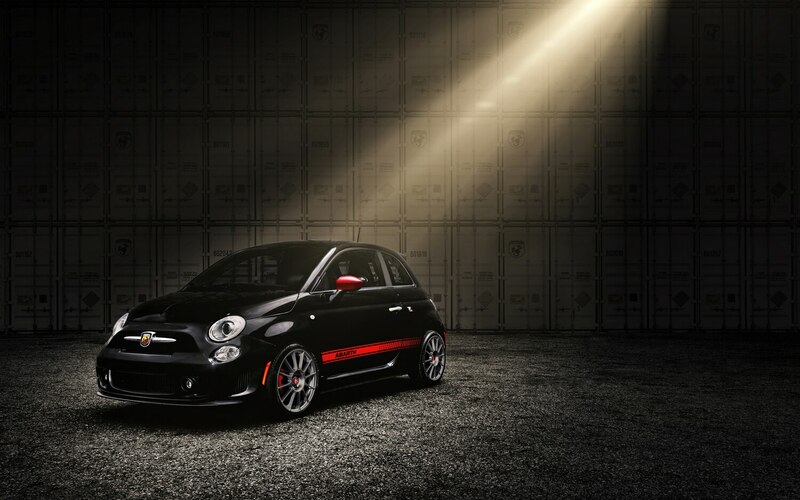 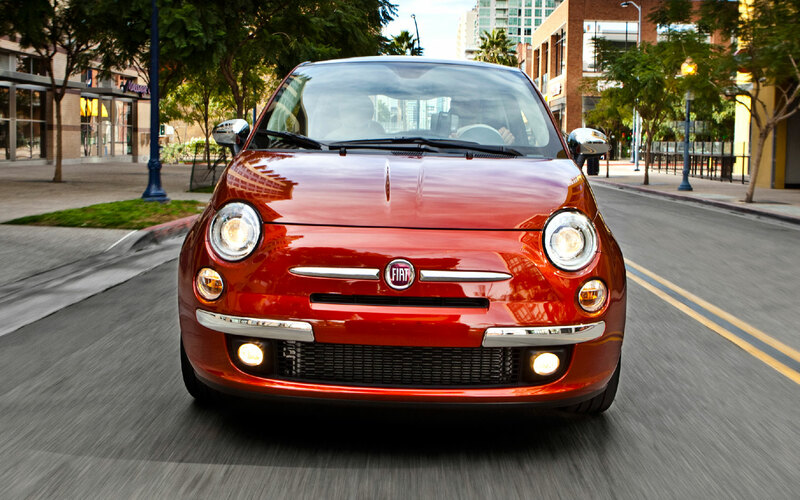 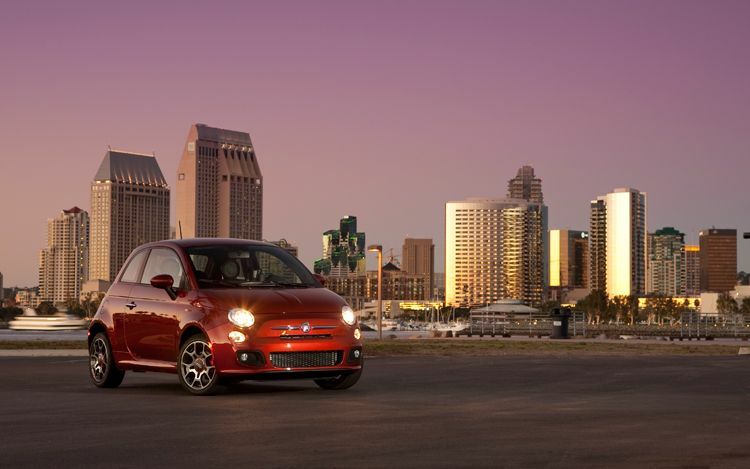 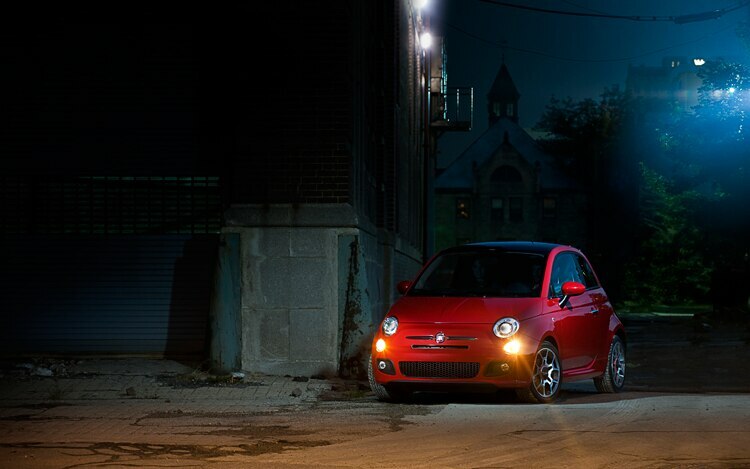 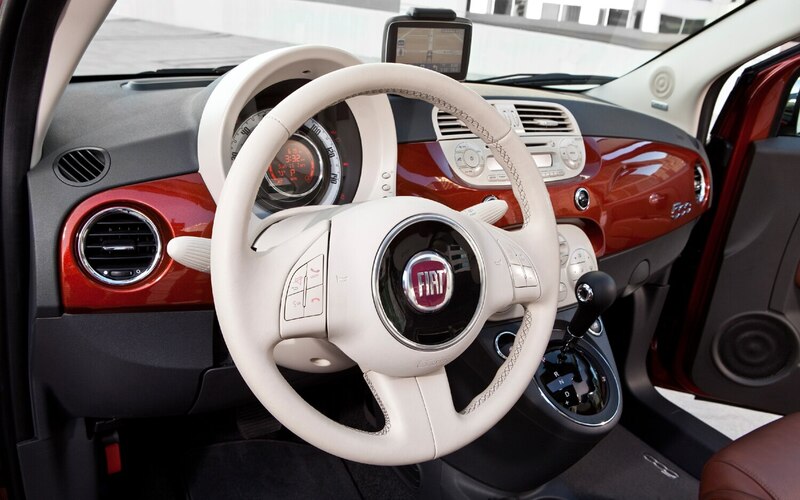 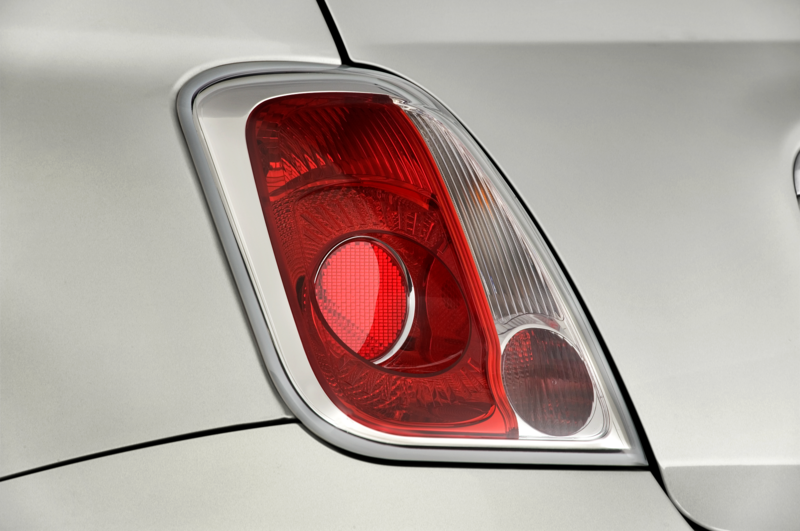 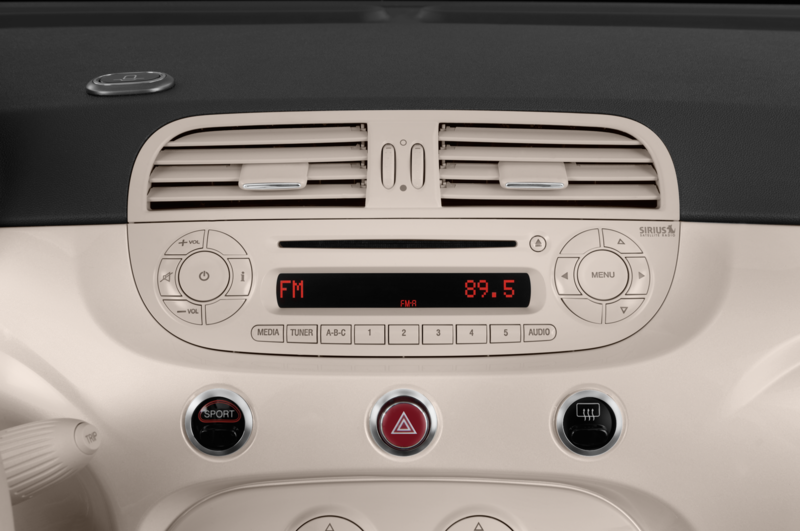 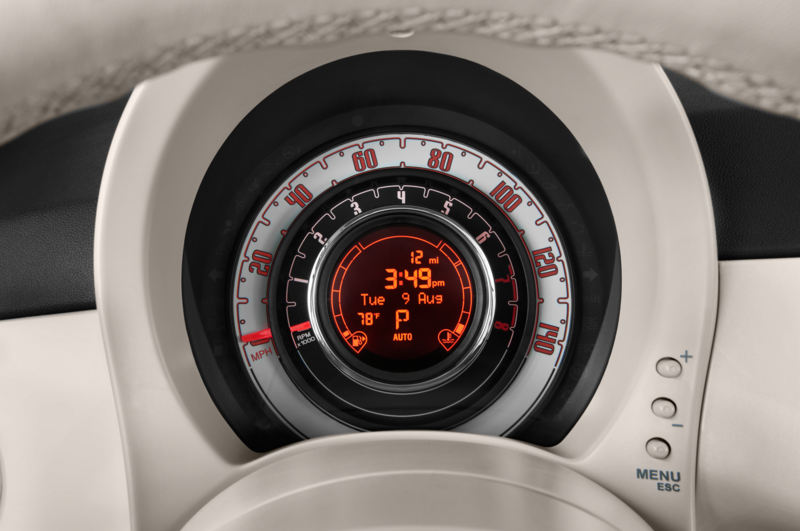 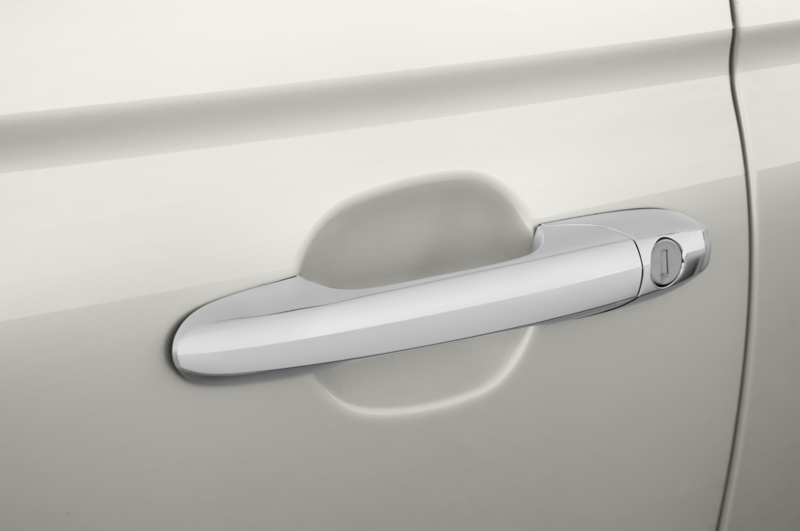 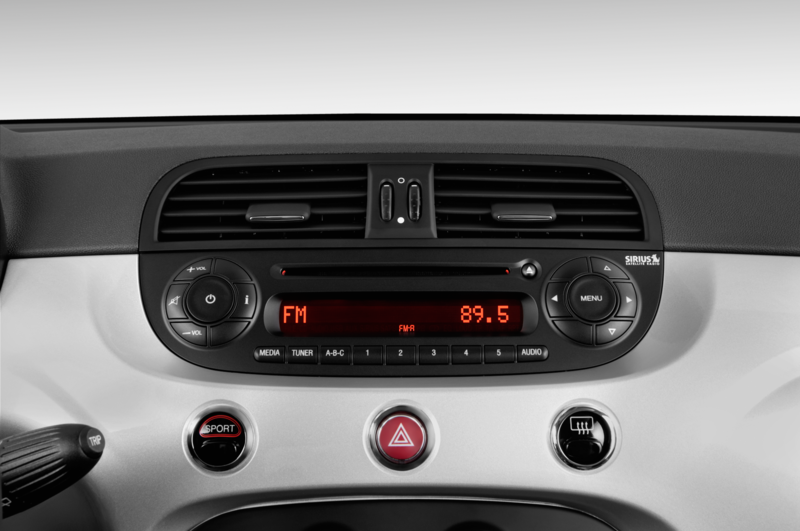 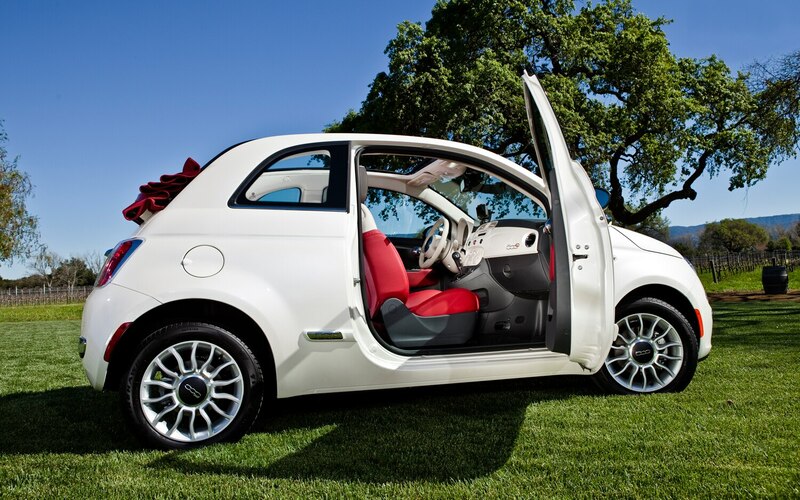 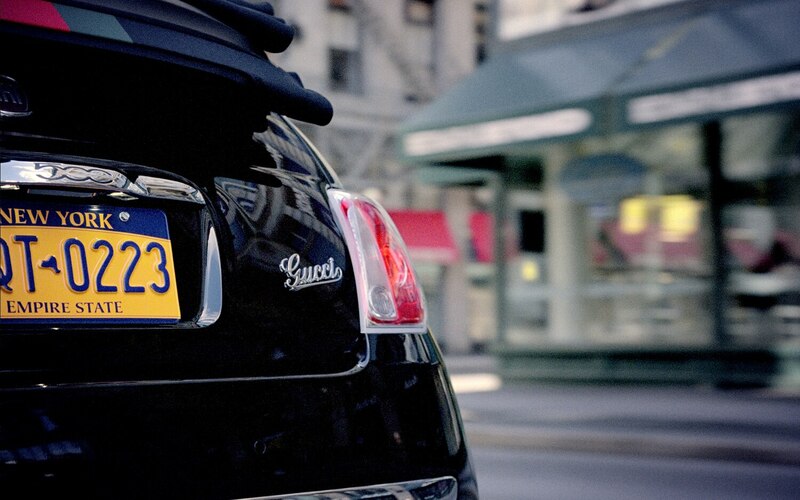 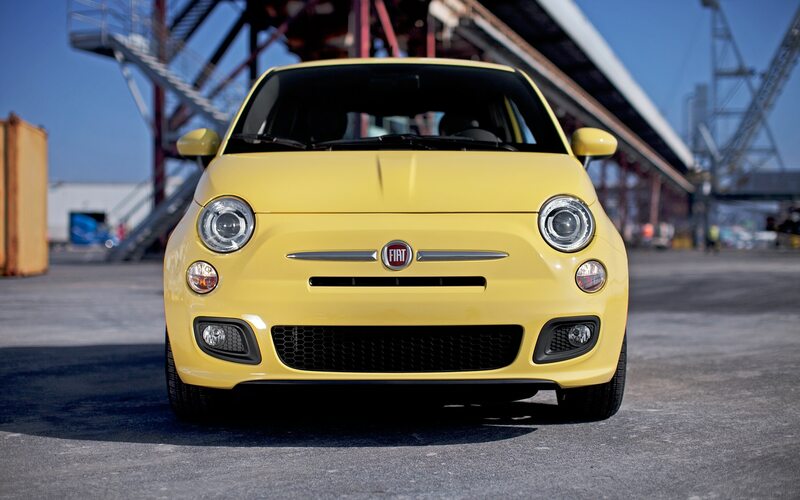 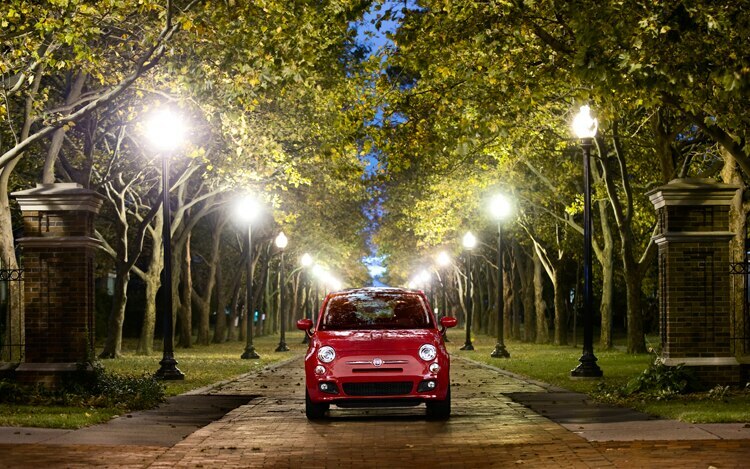 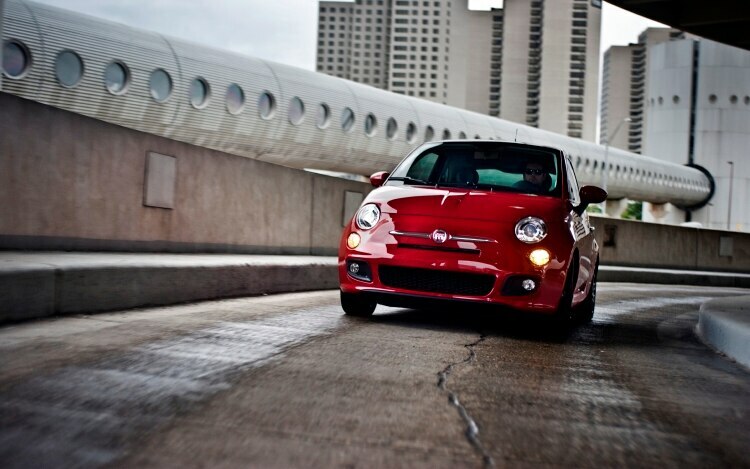 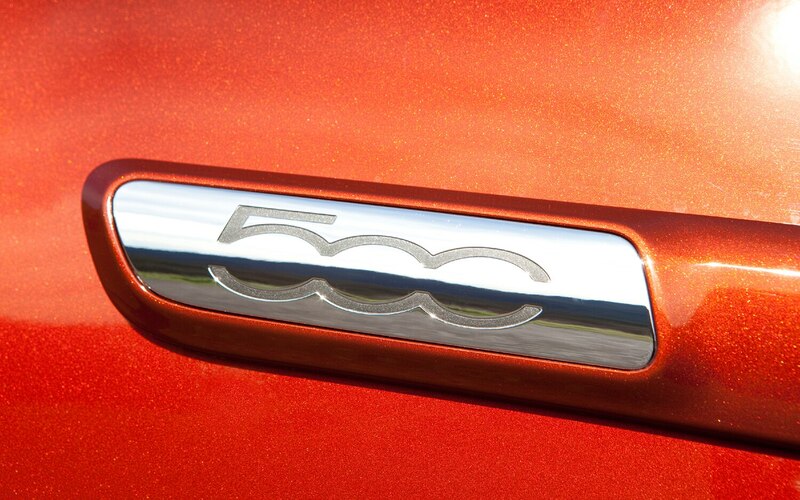 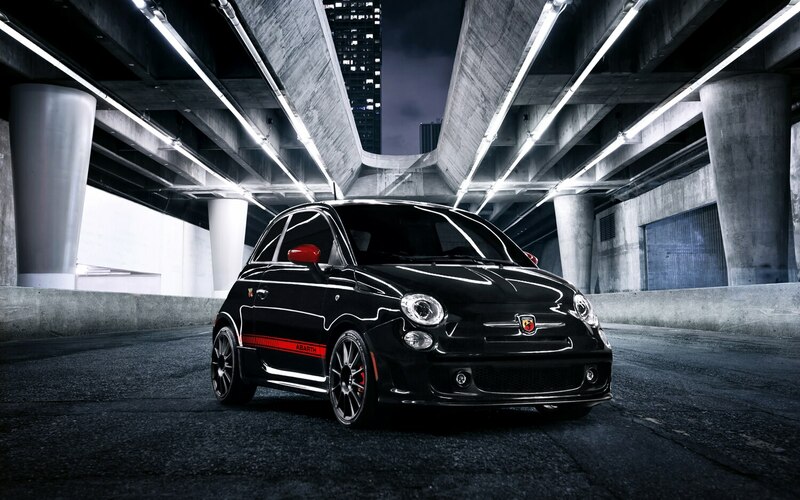 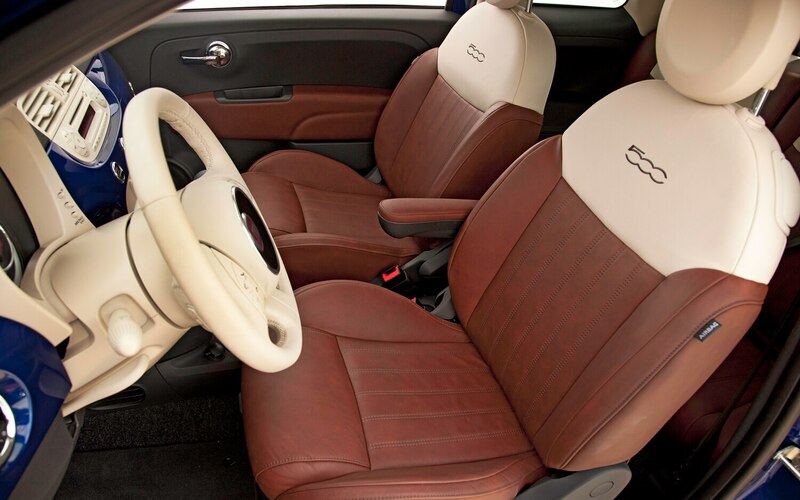 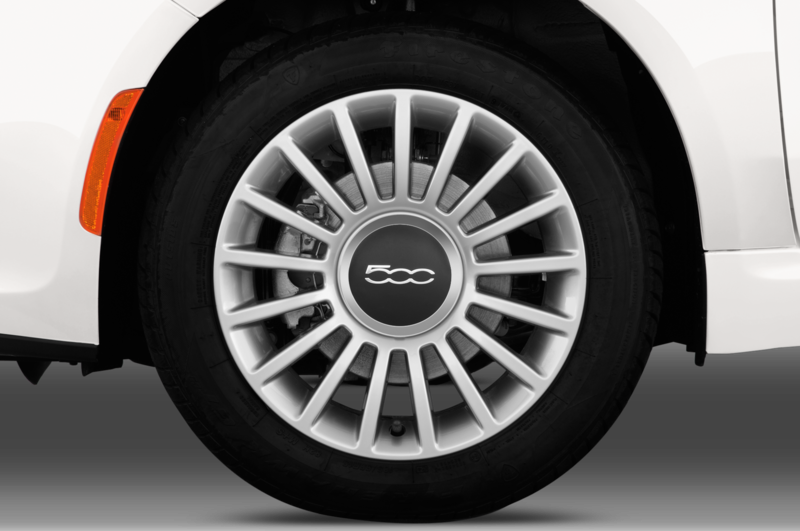 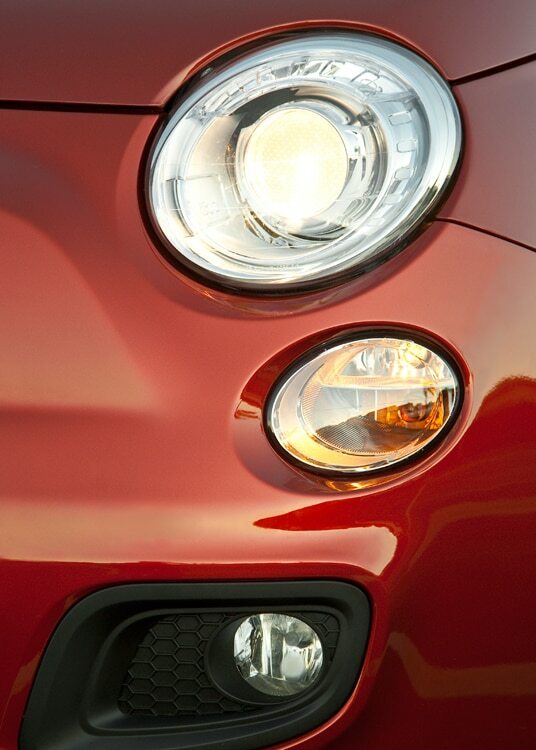 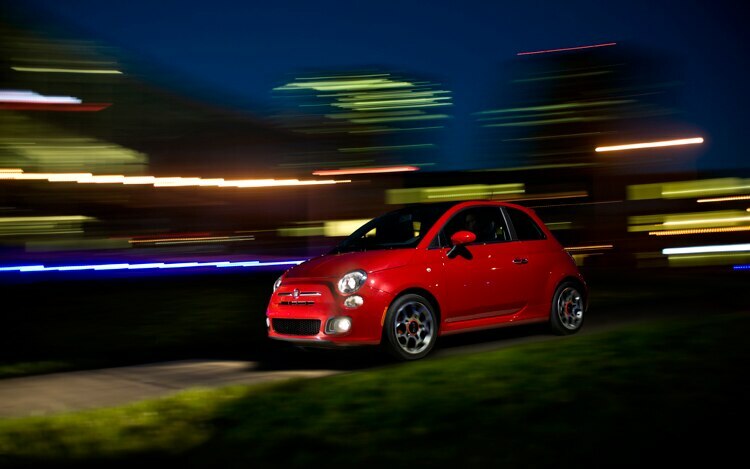 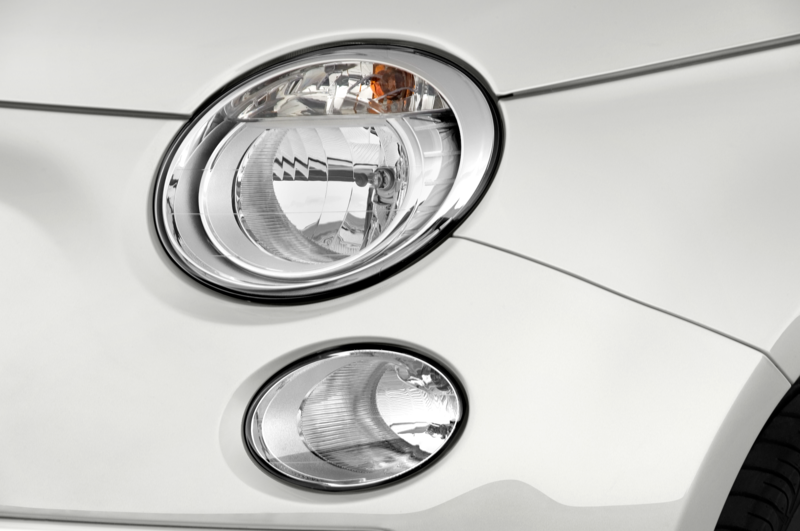 The 500C, however, is more eye-catching. 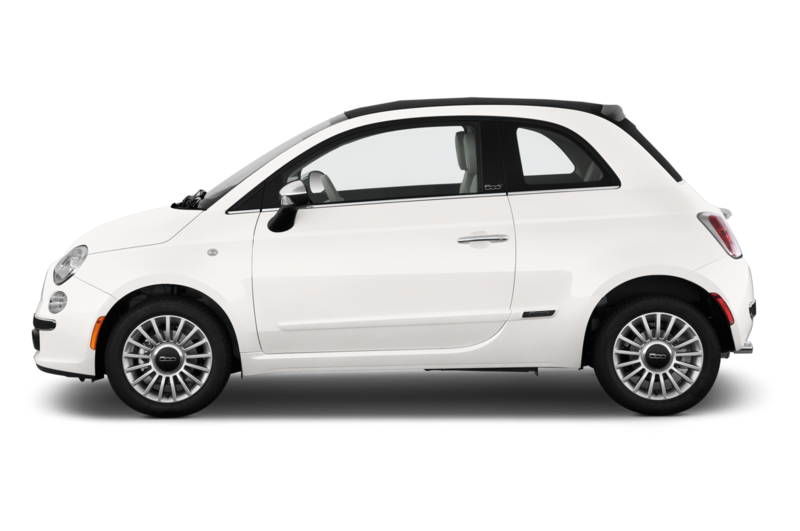 When I parked at the Thai restaurant down the street from the office, I left the roof open and I could see several people who passed by the car stopping to take a look. 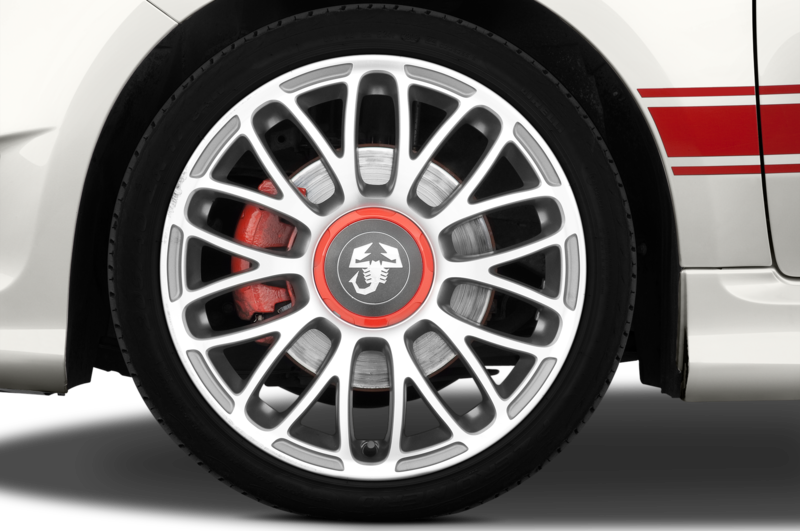 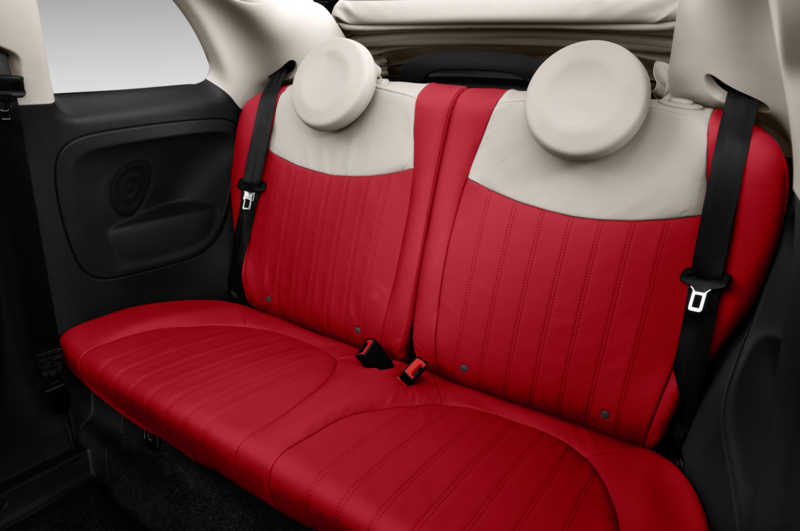 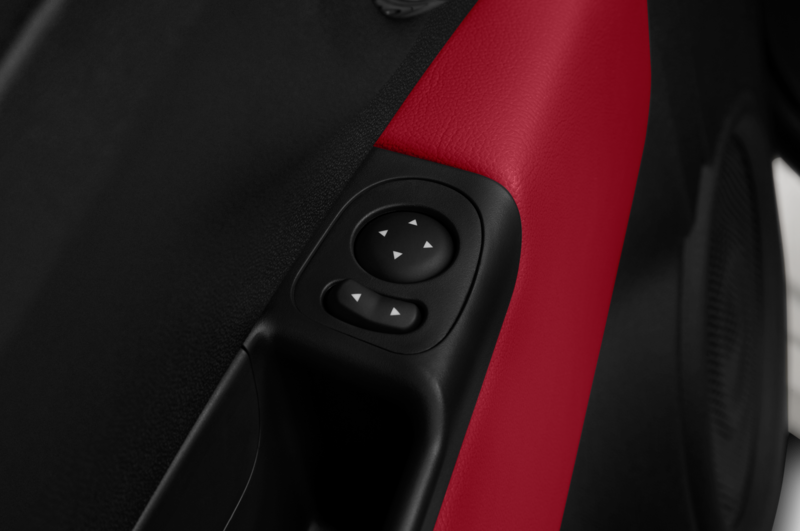 It might also have had to do with the sharp red and ivory interior, which is much more rich-looking than our Four Seasons car’s black and red interior color scheme. 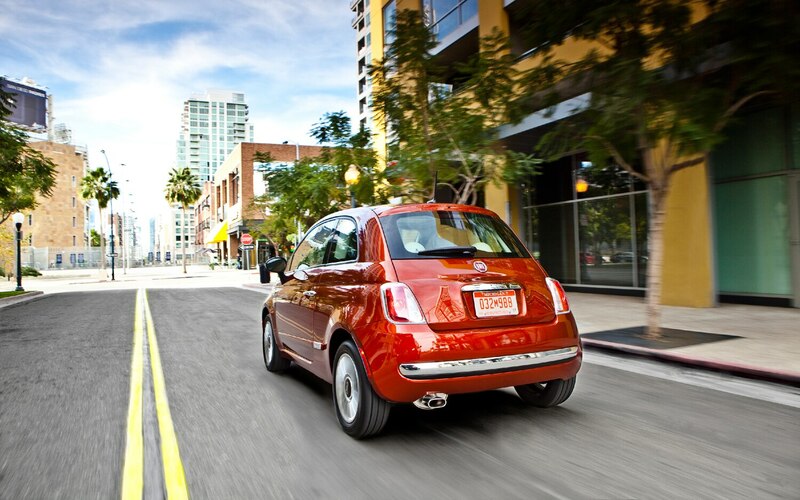 On the road, the 500C drives pretty much exactly like the regular 500. 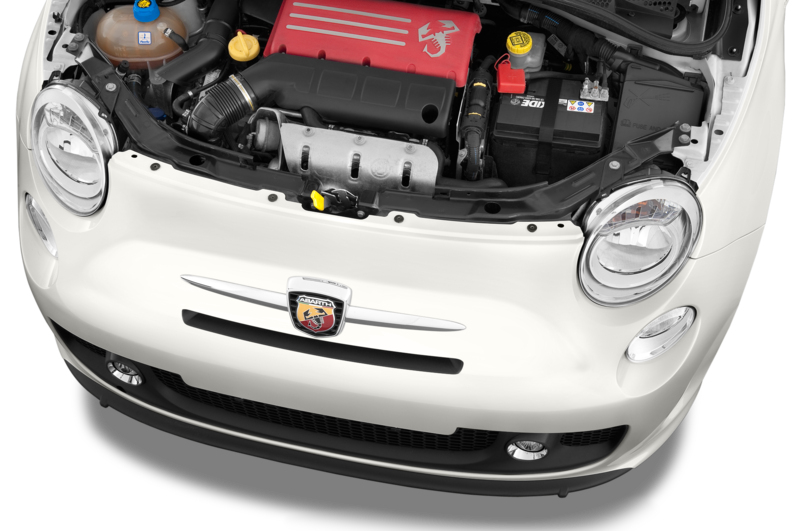 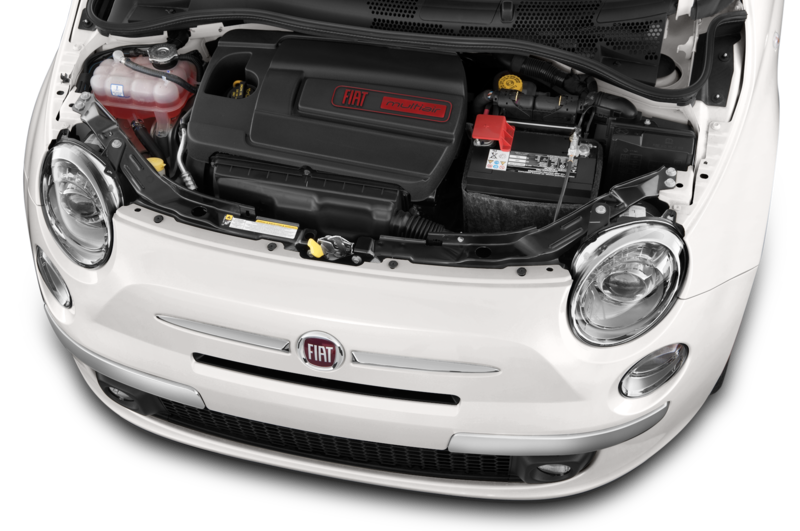 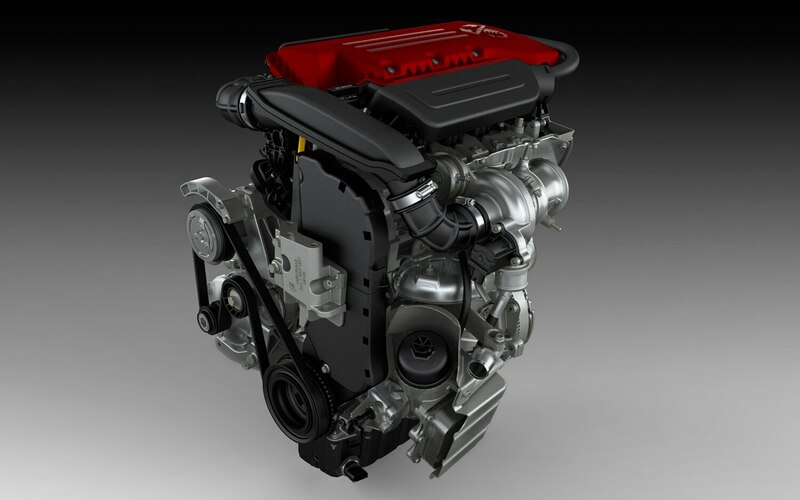 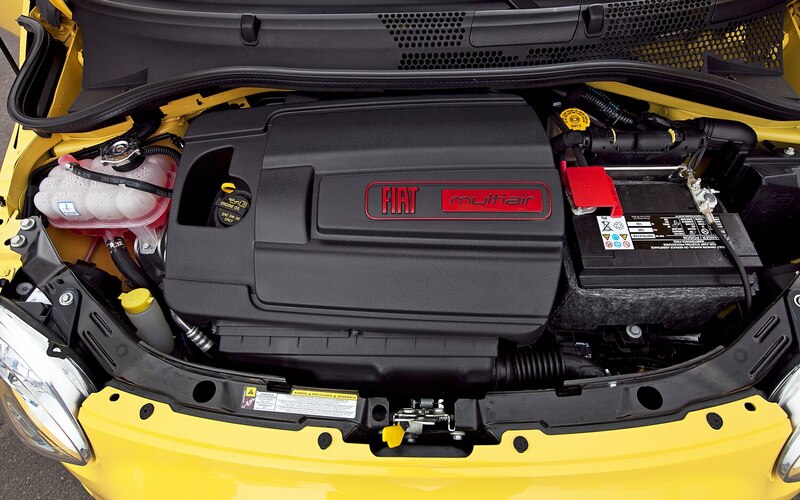 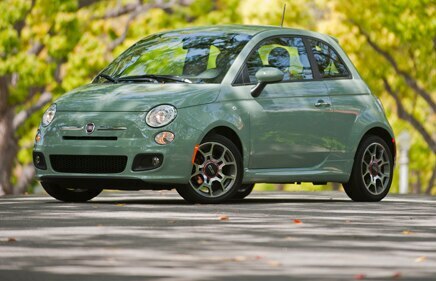 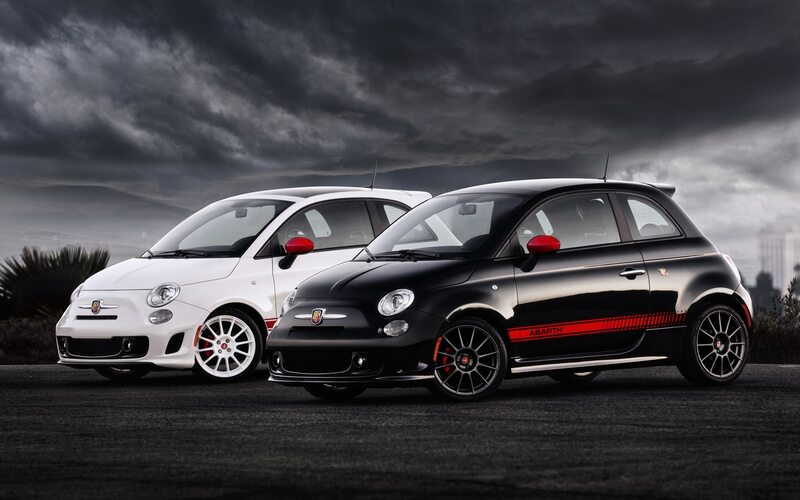 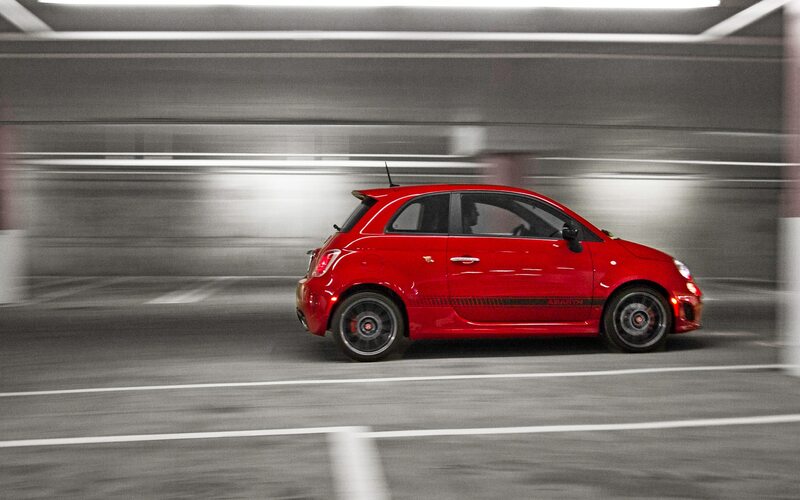 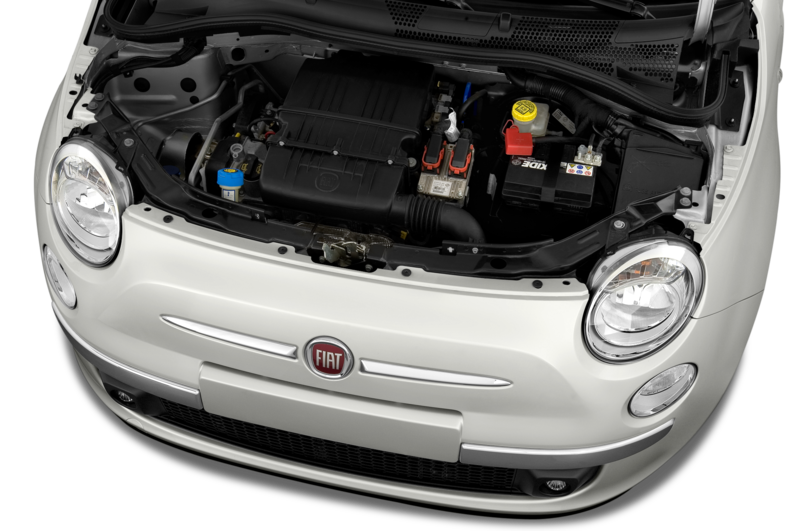 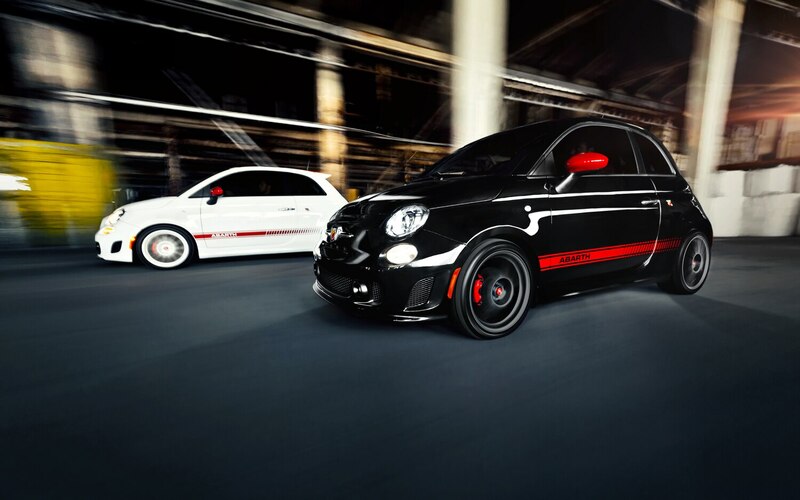 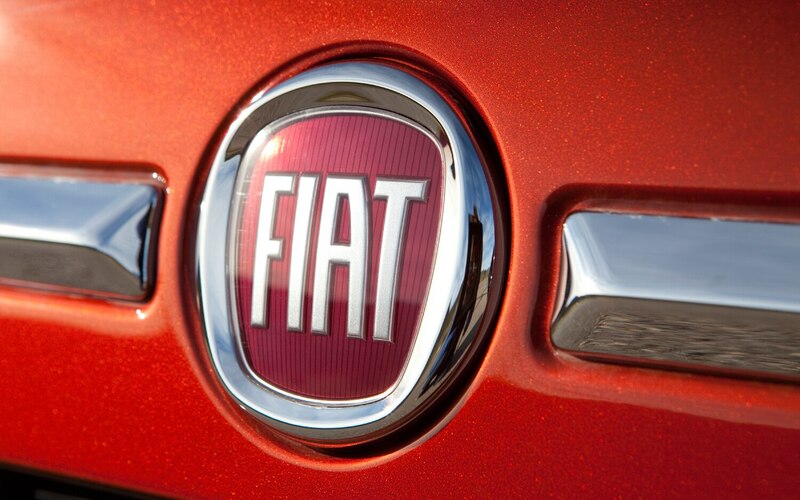 It has a 101-hp four-cylinder that isn’t overly powerful but is sufficient for a car the size of this Fiat. 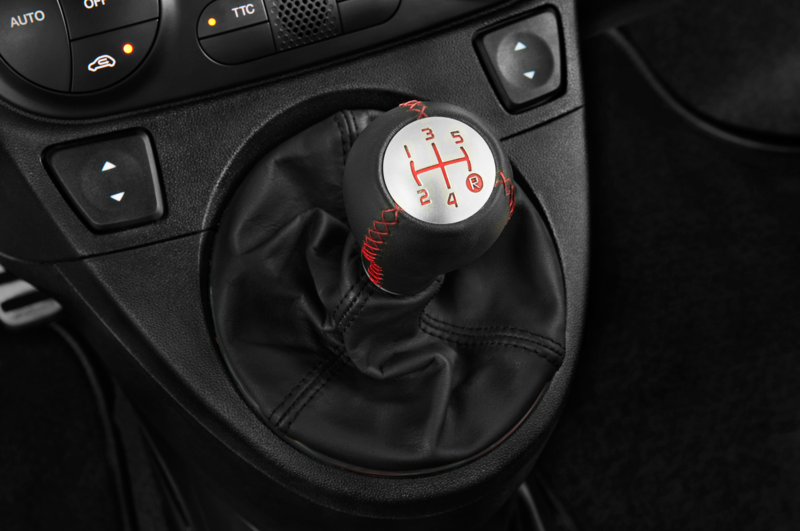 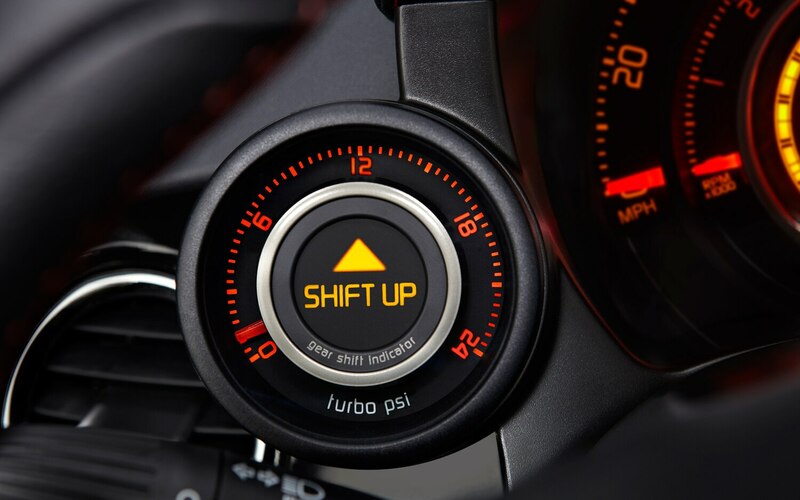 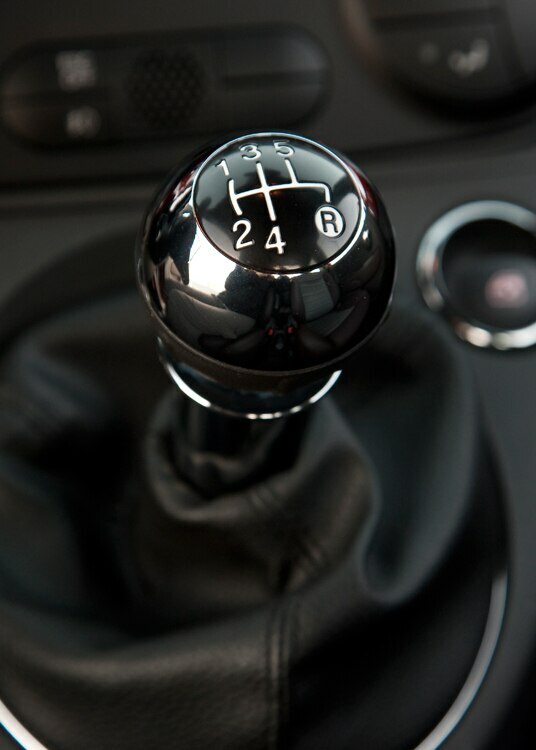 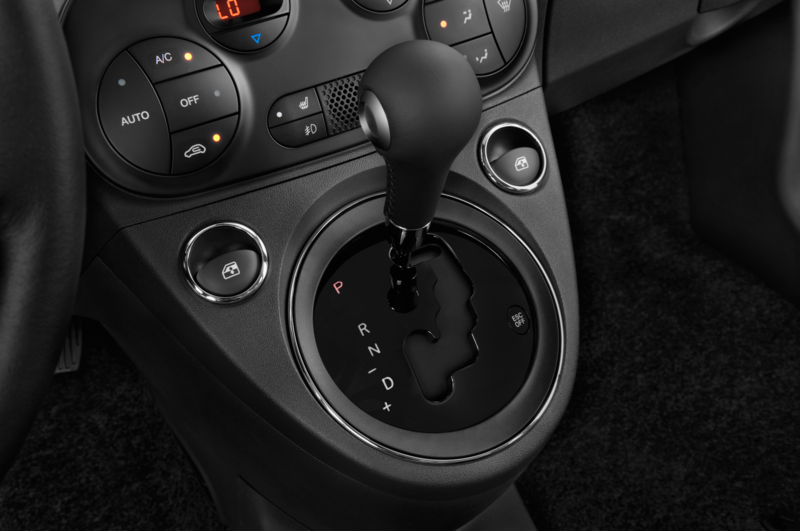 The manual transmission is easy to use, with a well-calibrated clutch pedal, although the shifter is a little rubbery for my taste. 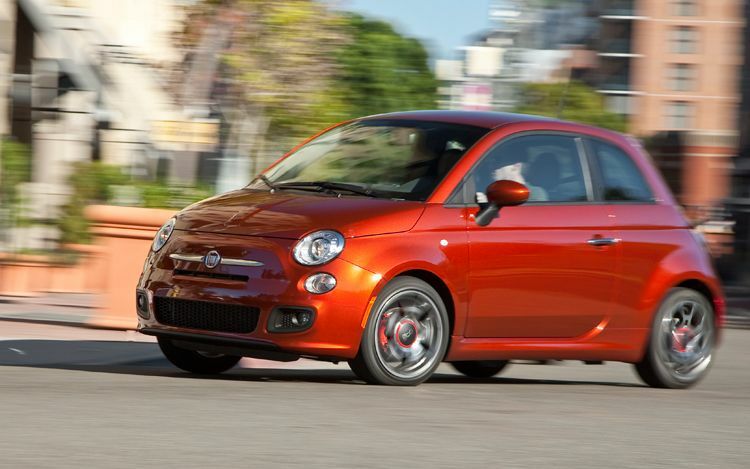 Ride quality is surprisingly good for a car with such a short wheelbase. 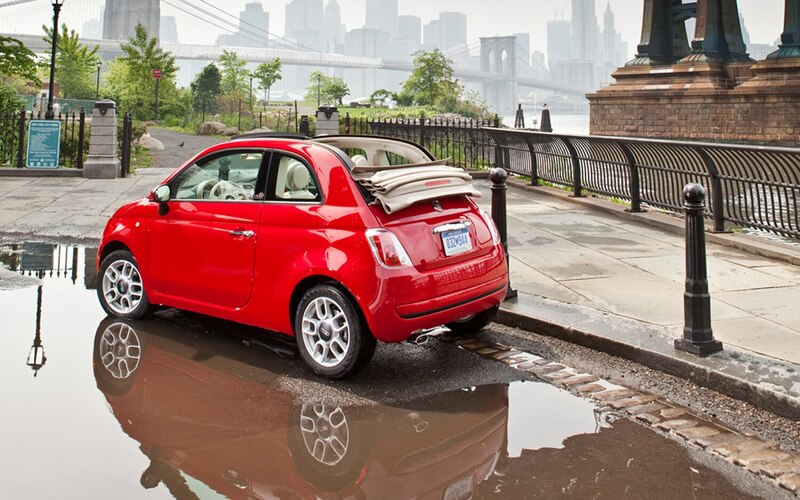 Of course, the main difference between the two cars is the roof. 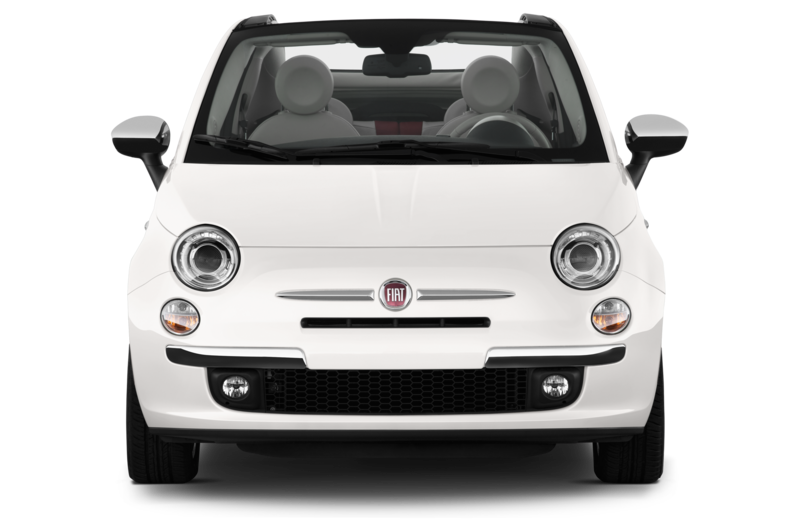 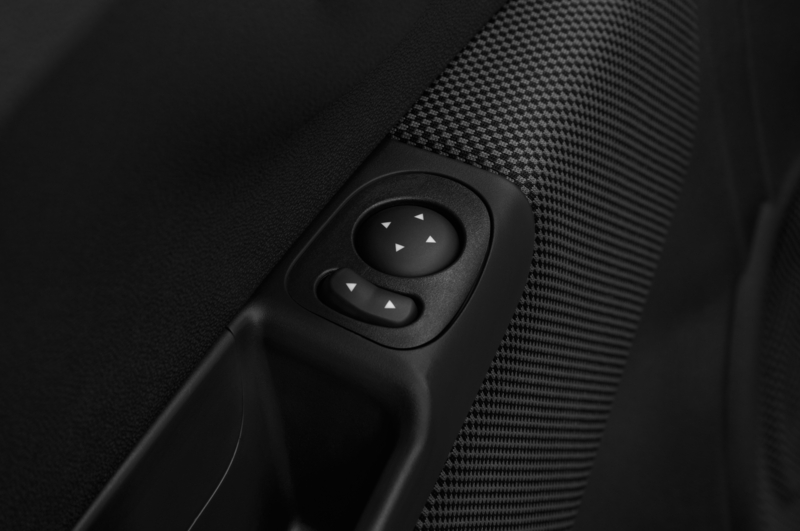 Our 500 hardtop has a mesh shade for its power sunroof that feels flimsy and doesn’t completely block the sunlight coming into the car. 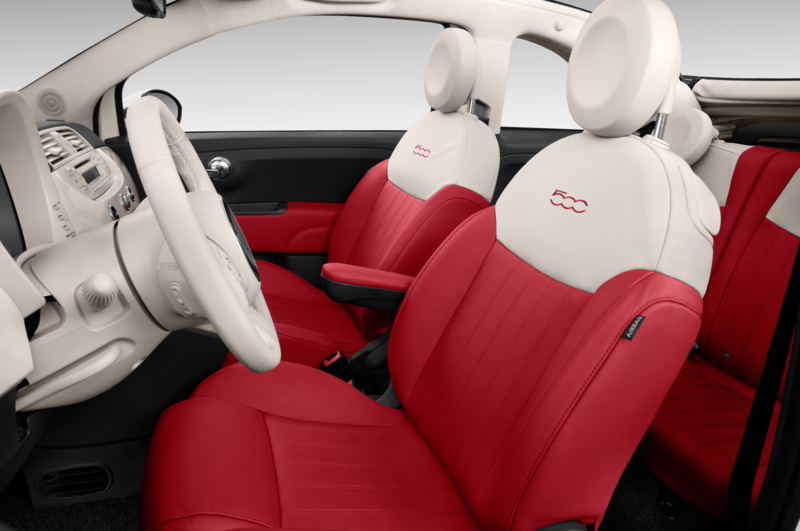 It serves to brighten up the interior somewhat, but I longed for a regular sunshade when I drove it in 95-plus degree weather. 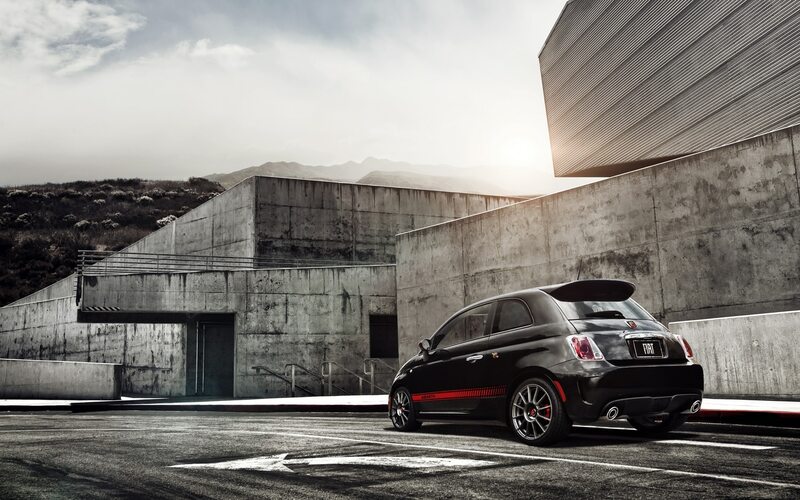 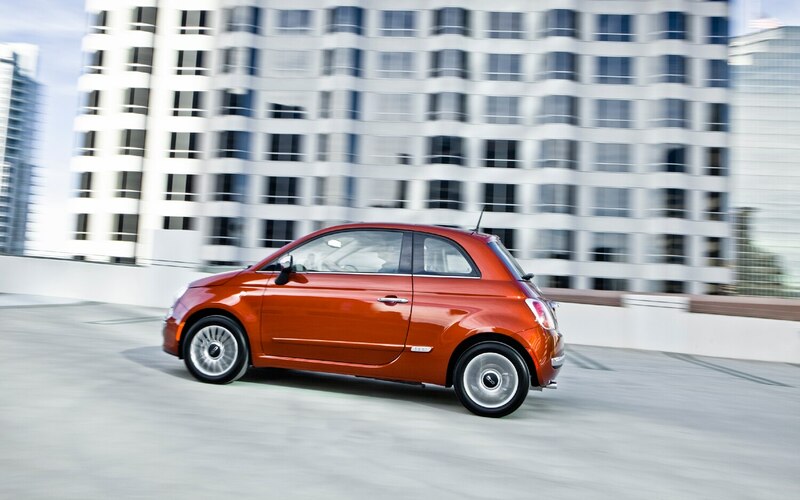 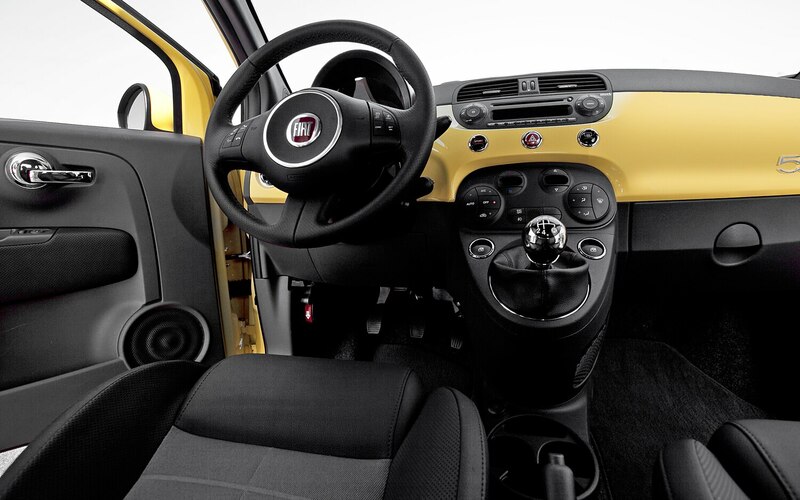 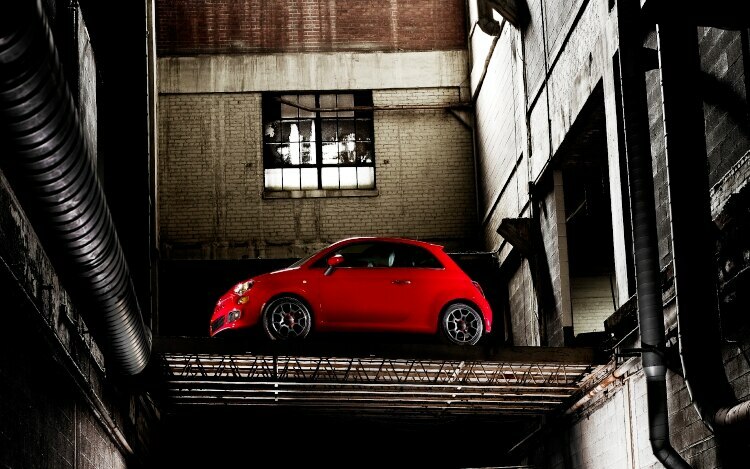 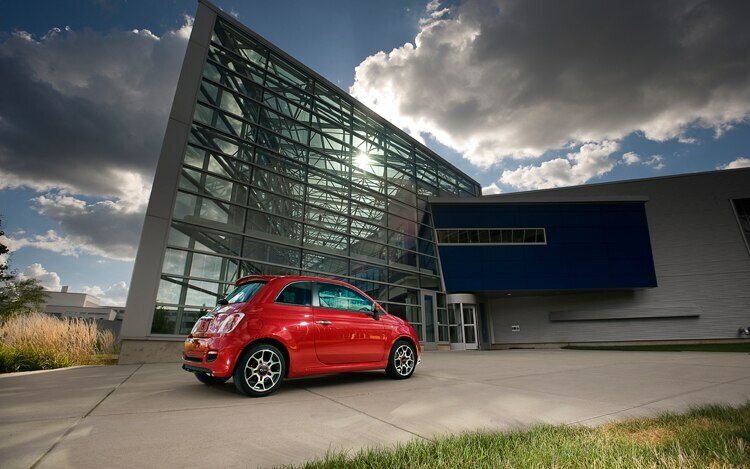 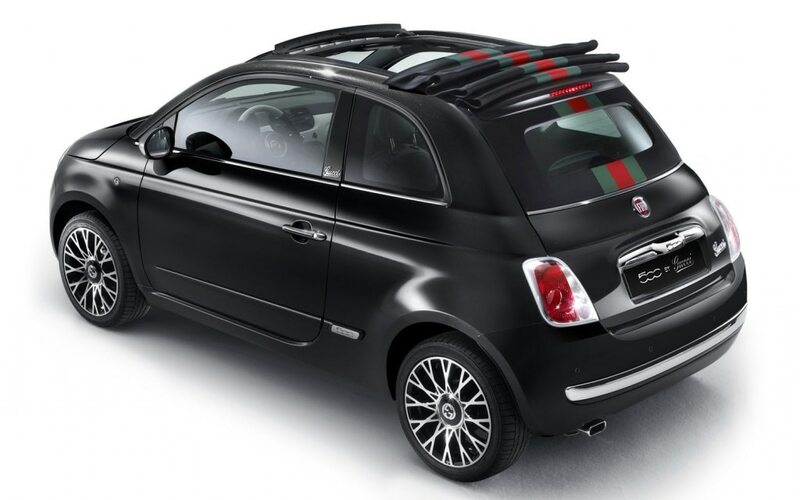 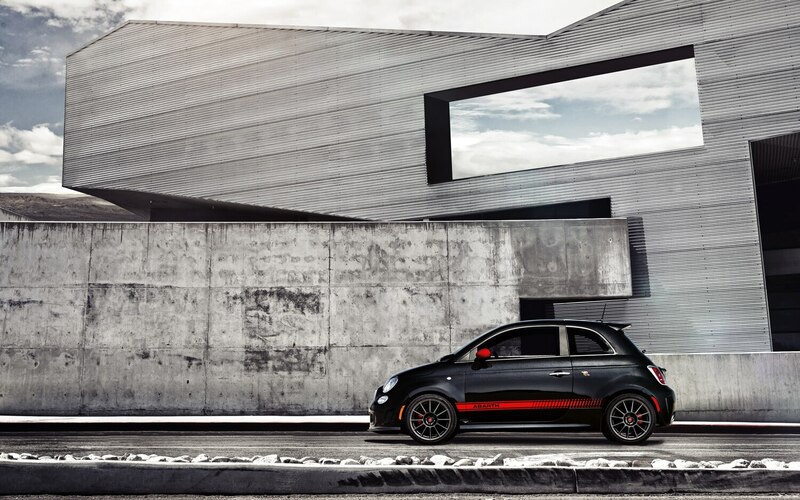 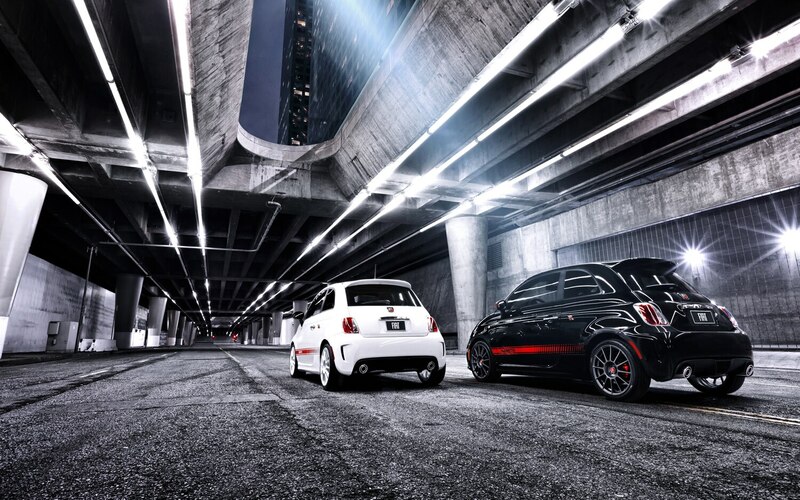 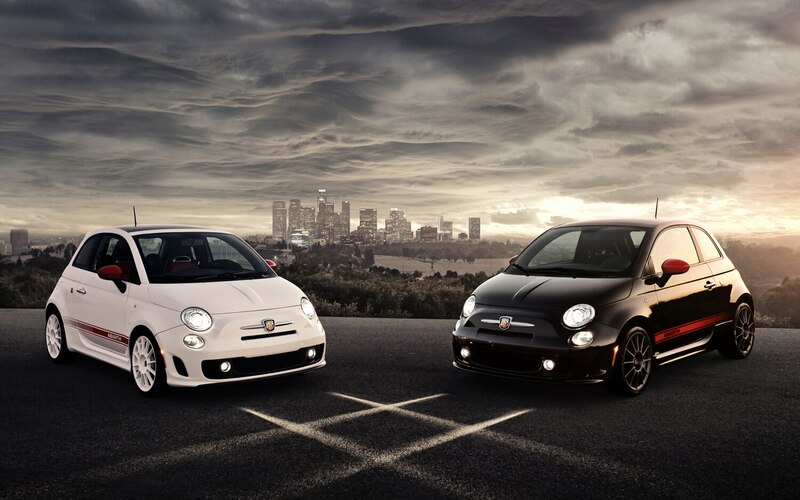 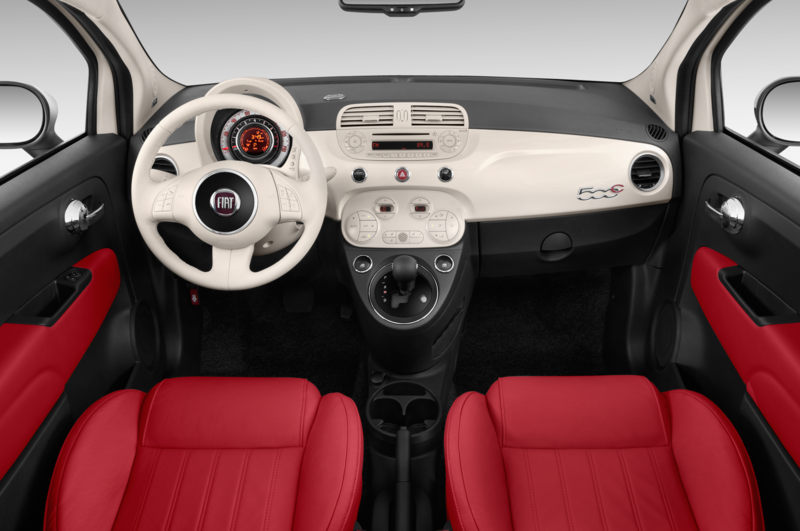 With 500C, on the other hand, the roof is much more versatile. 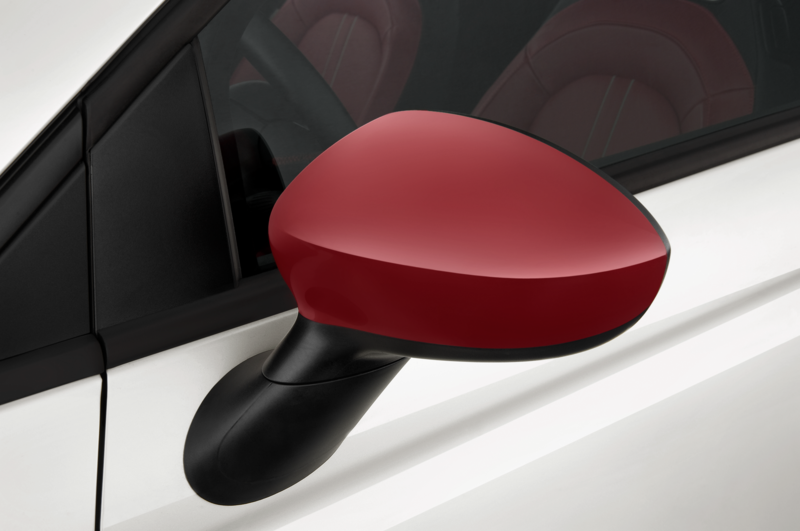 Keep it closed, and you are completely protected from the rays of the hot sun (or, of course, any inclement weather). 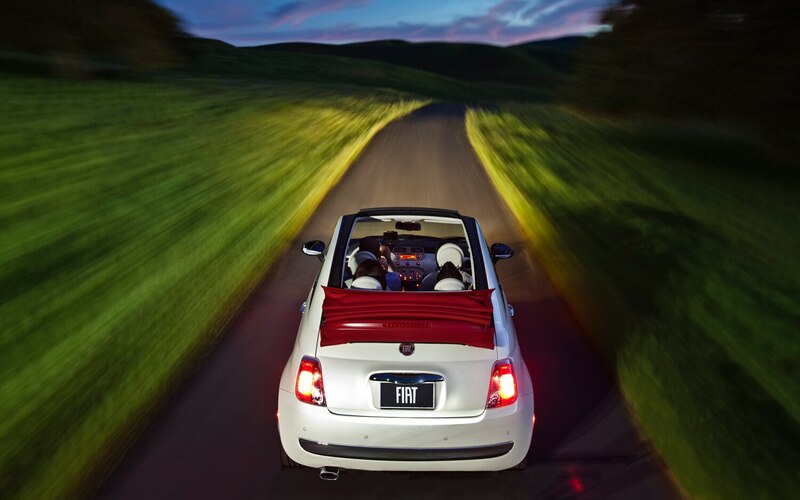 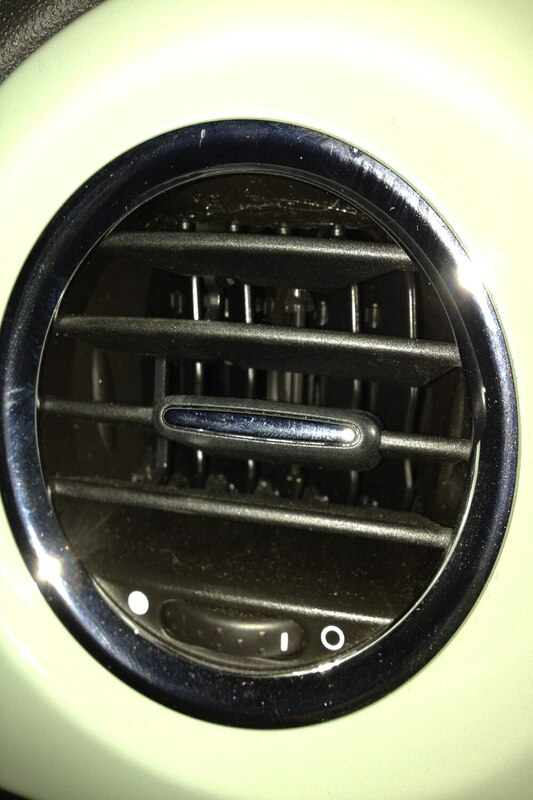 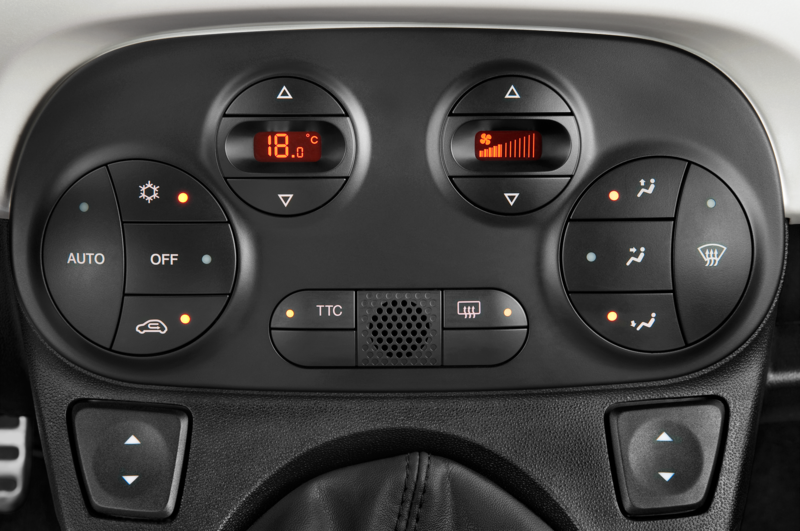 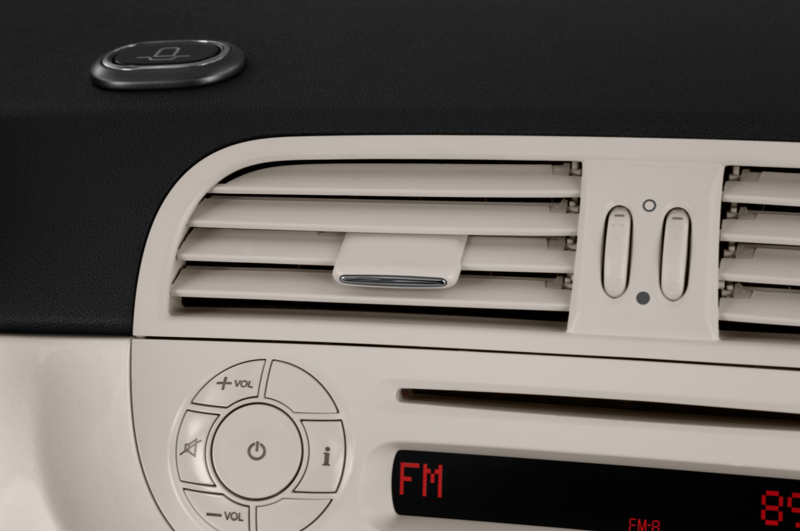 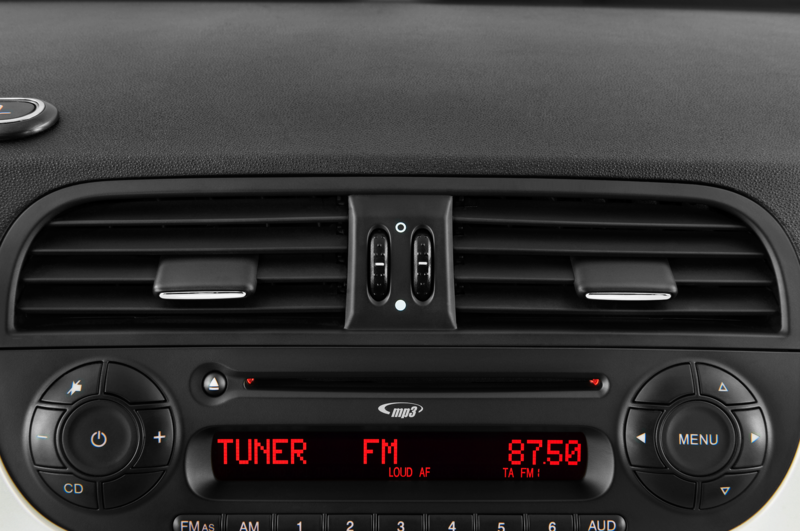 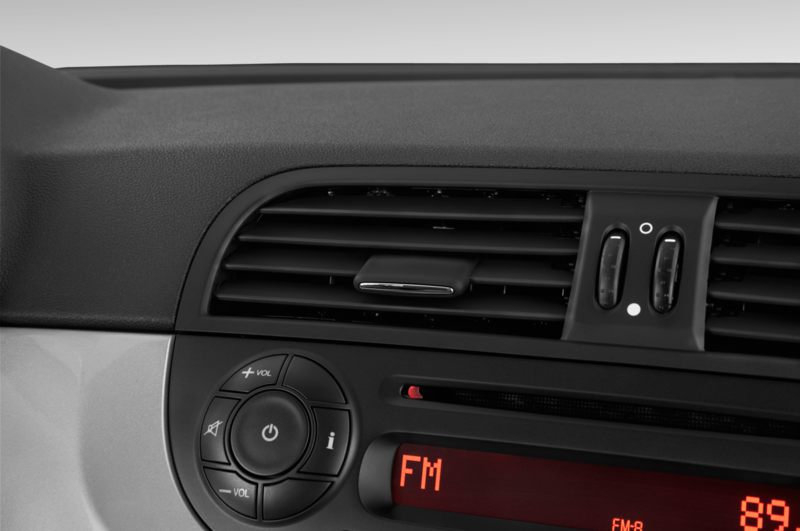 When the temperature is more moderate, you can open the roof to one of two positions. 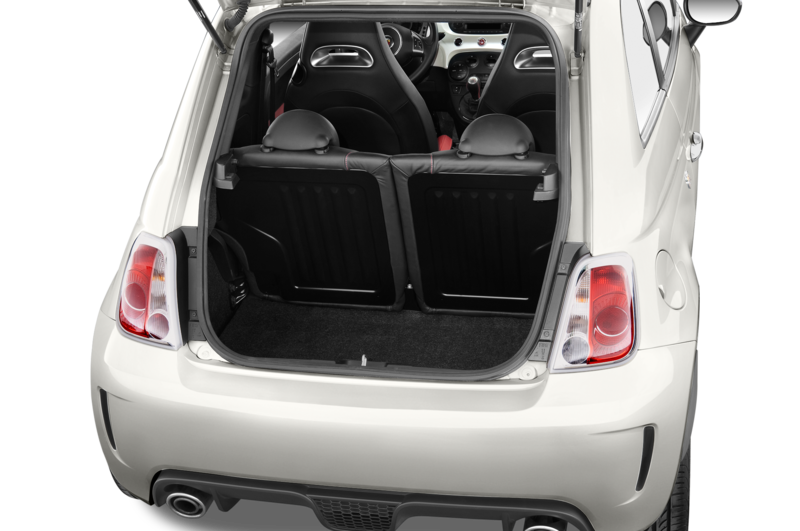 With the roof fully open, the 500C really shows its fun personality — too bad you can’t see out the rear, as the cloth roof is stacked where the back glass should be. 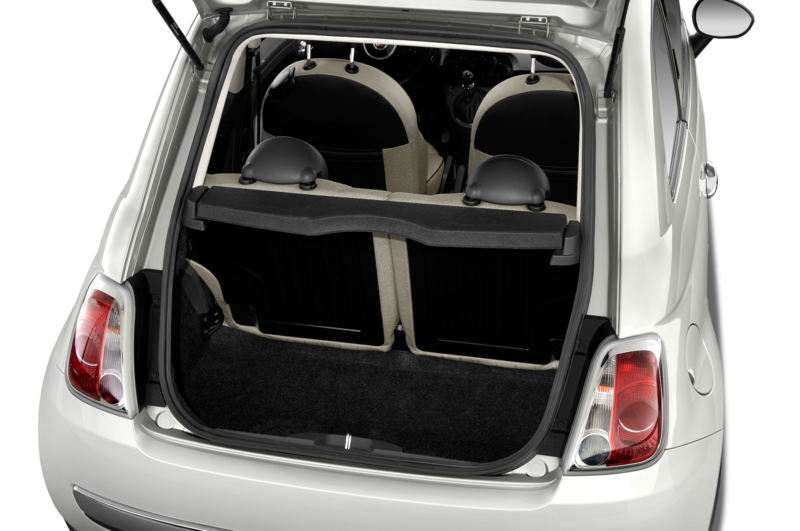 Luckily, there’s also an intermediate roof position, in which the roof opens like a panoramic sunroof, and the rear glass stays in place. 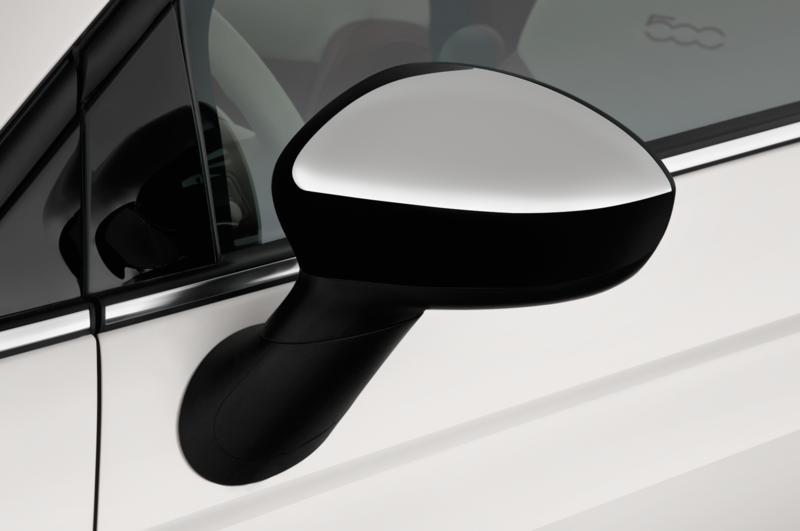 Just make sure that you lower all the windows, however, because when they’re in the raised position, there’s some pretty severe wind buffeting. 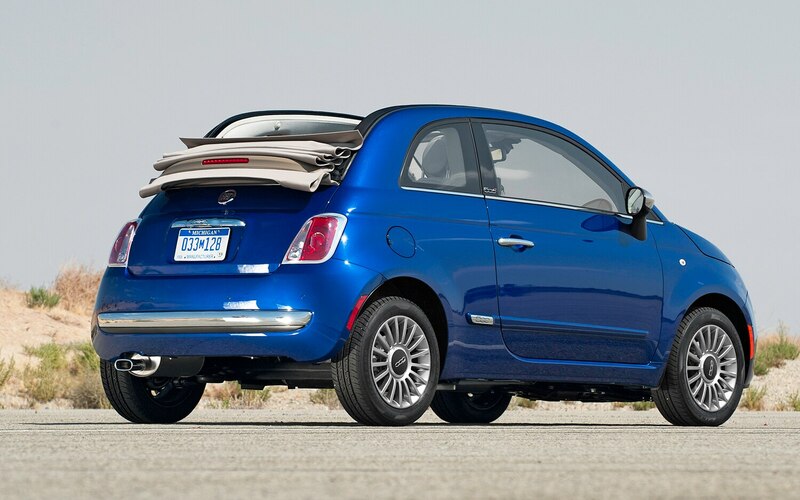 All Fiat 500s should be cabriolets. 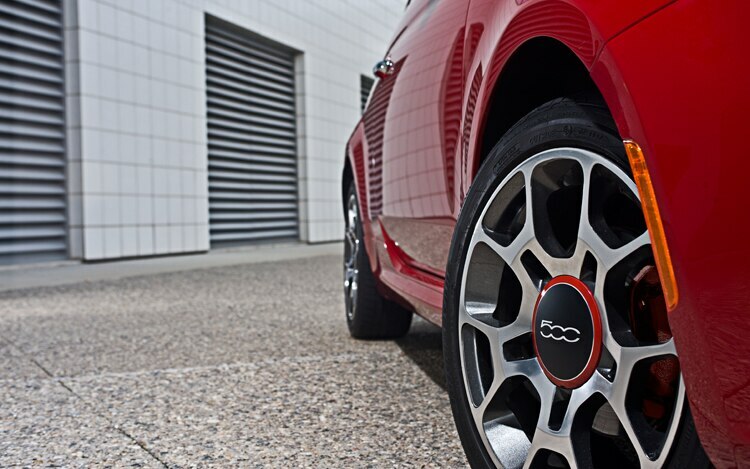 October was yet another good month for the Chrysler Group, at least in terms of new-car volumes. 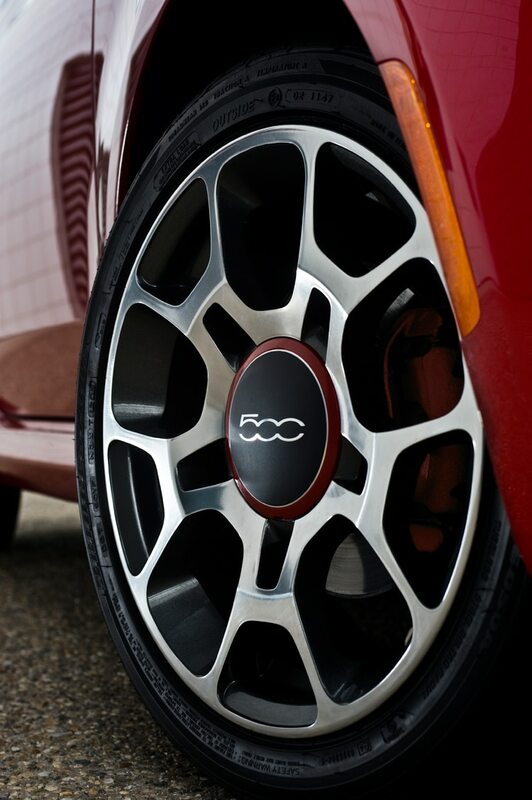 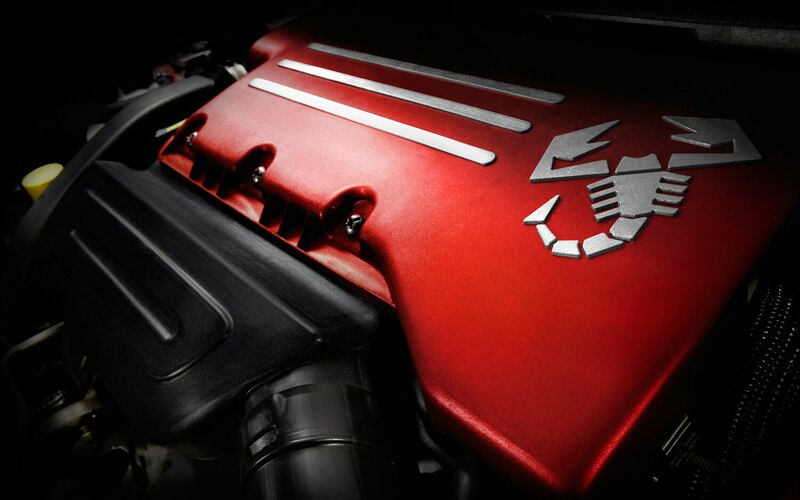 Chrysler Group plans to show off 24 of its new vehicles modified by in-house parts company Mopar at the upcoming Specialty Equipment Market Association show in Las Vegas.